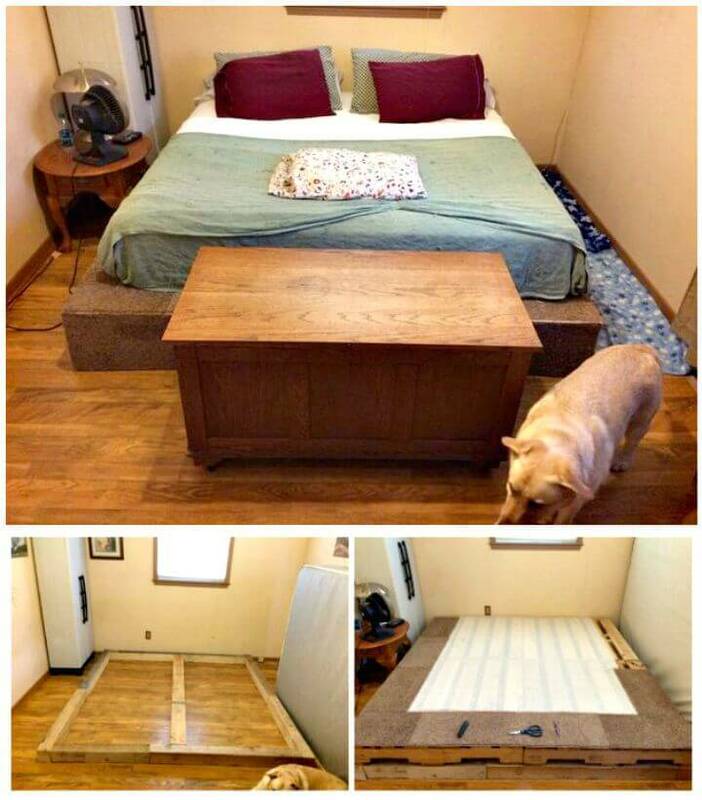 It is horrible to imagine a life with no furniture. 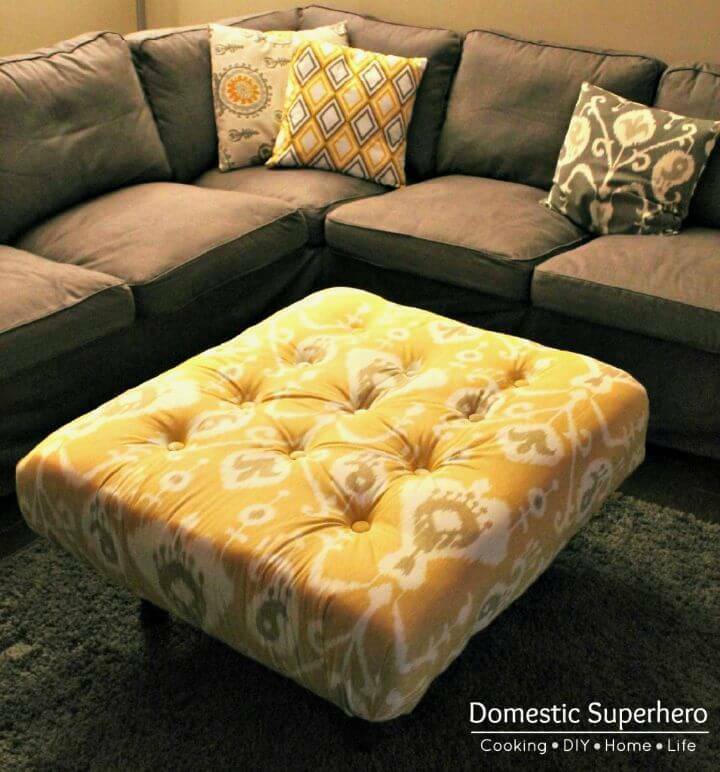 Think about having no coffee table in the living, a comfy bed in your den, a functional sofa to linger on and watch TV, it would scare the death out you or any other. 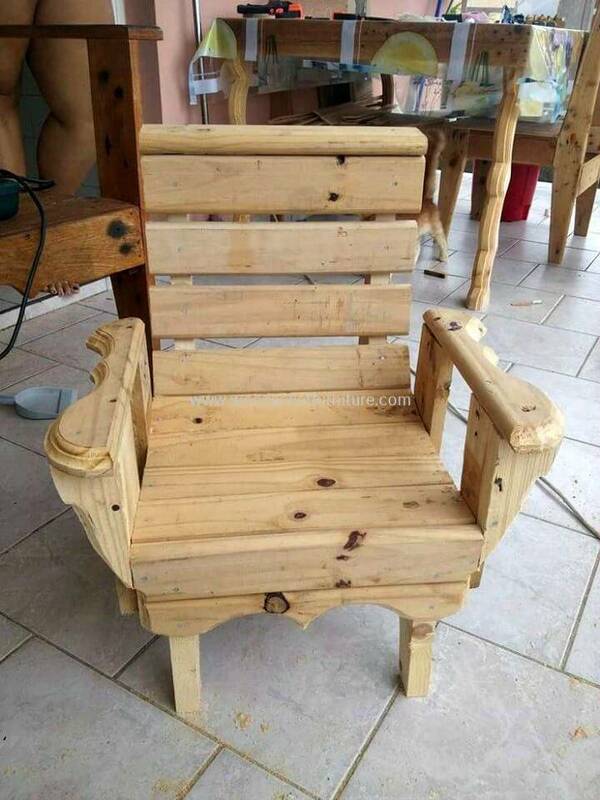 But thankfully we have all of them and so much more and enjoying such a luxury and comfortable life with gorgeous and functional furniture pieces in each section of the house, the interiors and the exteriors. 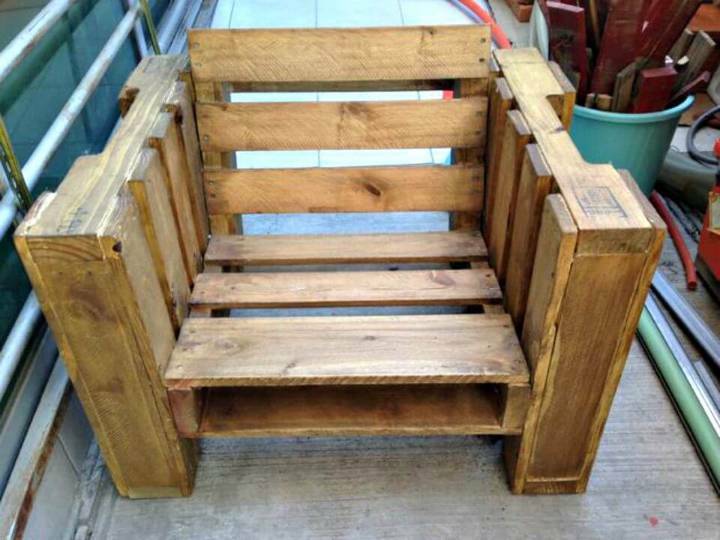 And a mighty thanks to the Pallet wood who have made it huge into the world of Pallet furniture for its recycling abilities, cost efficiency and high feasibility to work with. 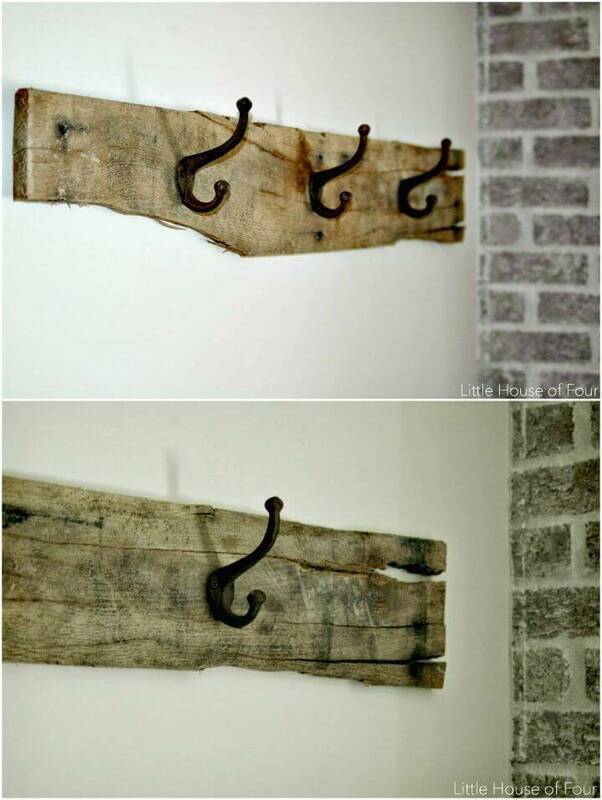 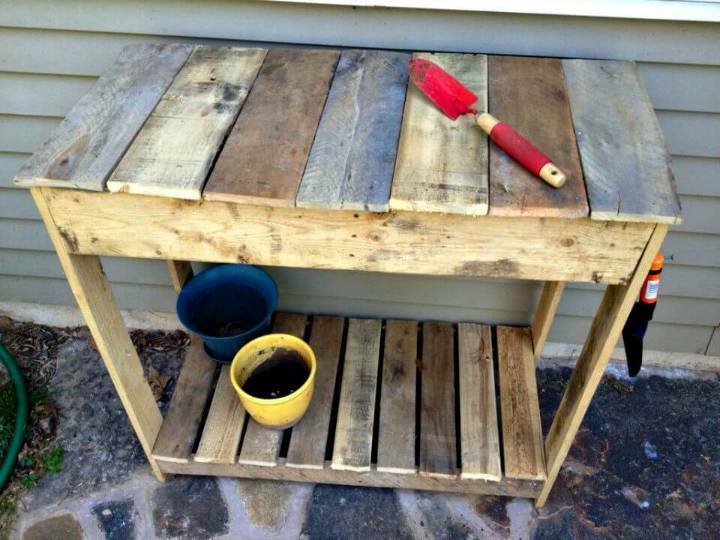 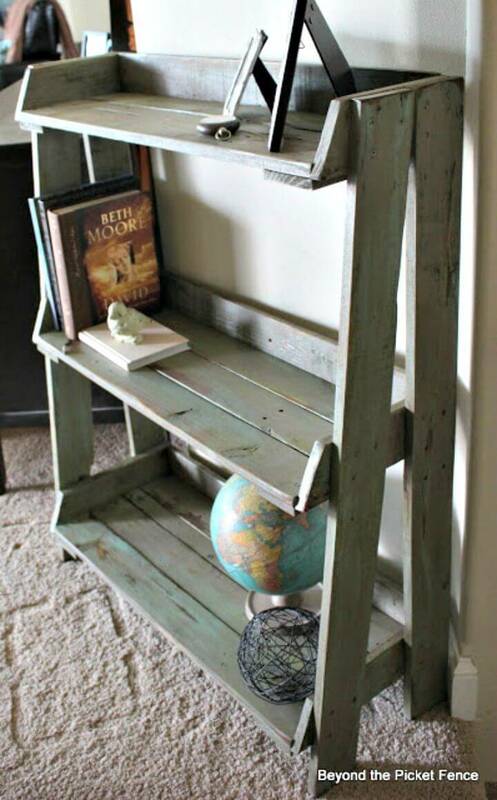 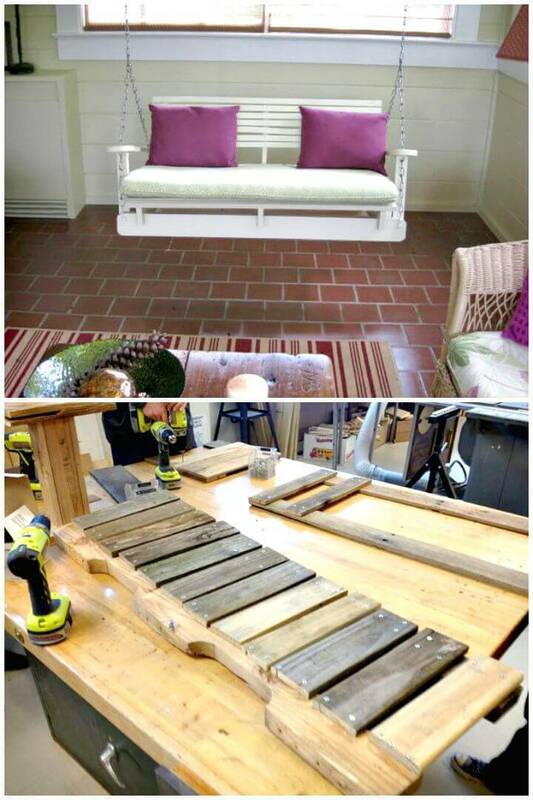 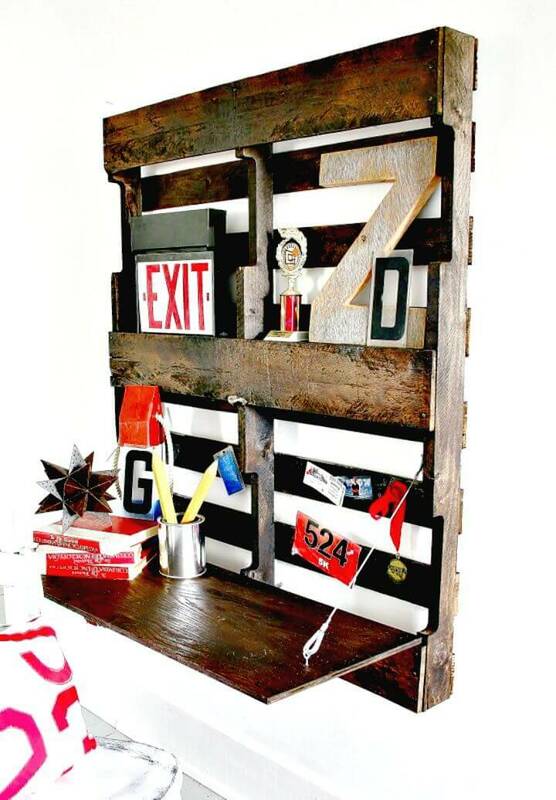 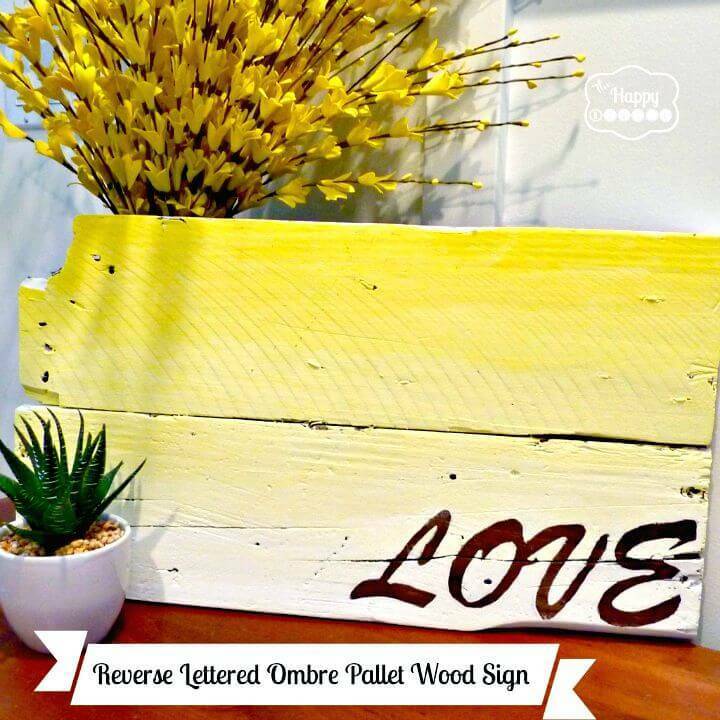 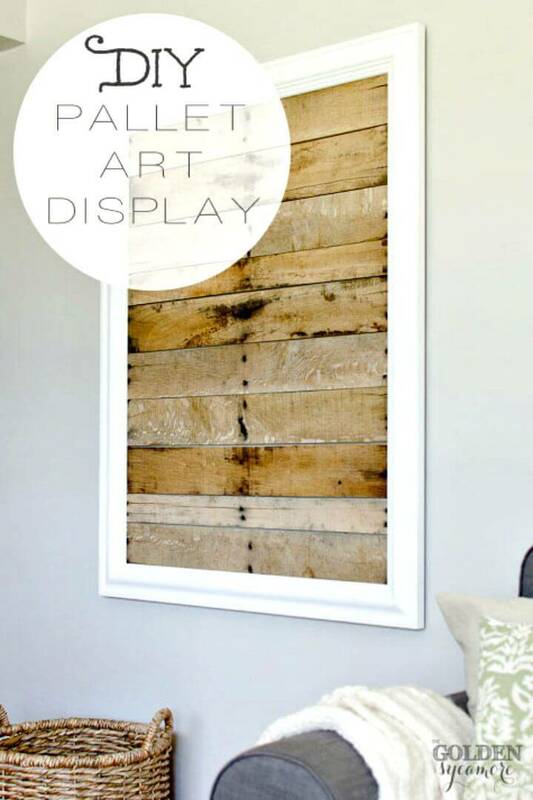 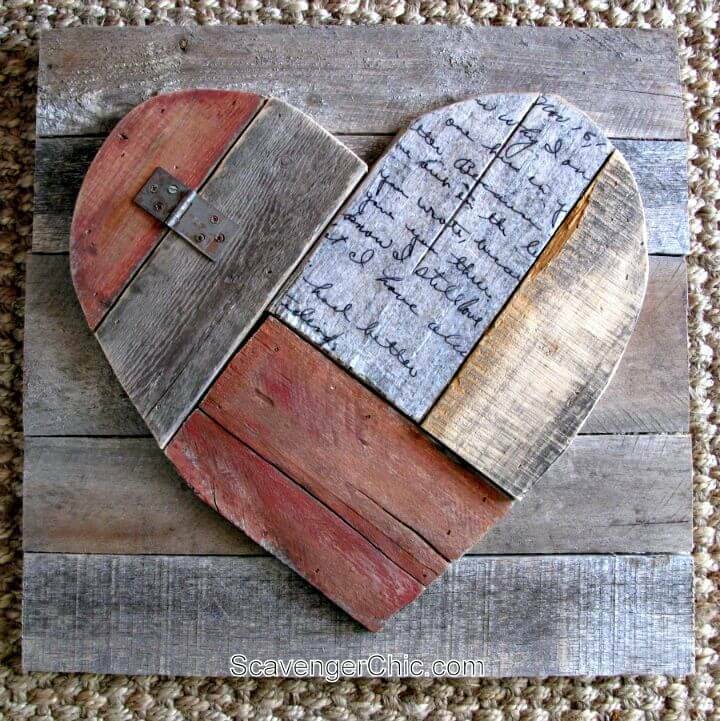 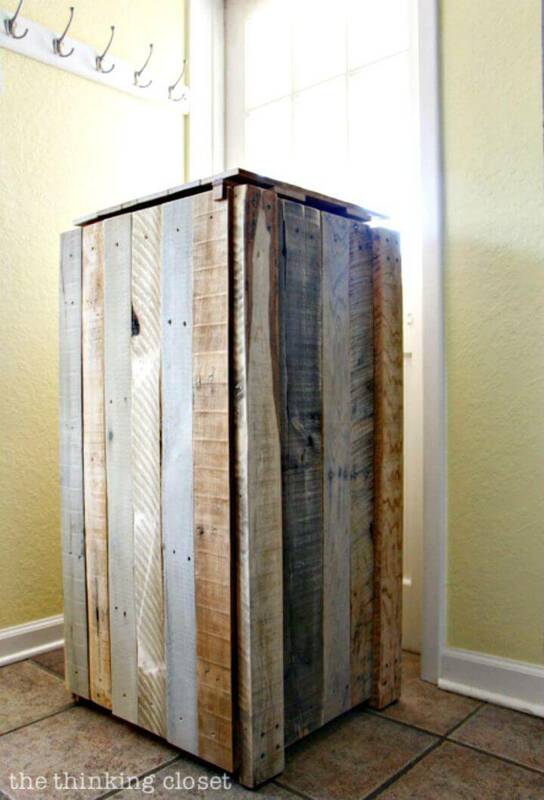 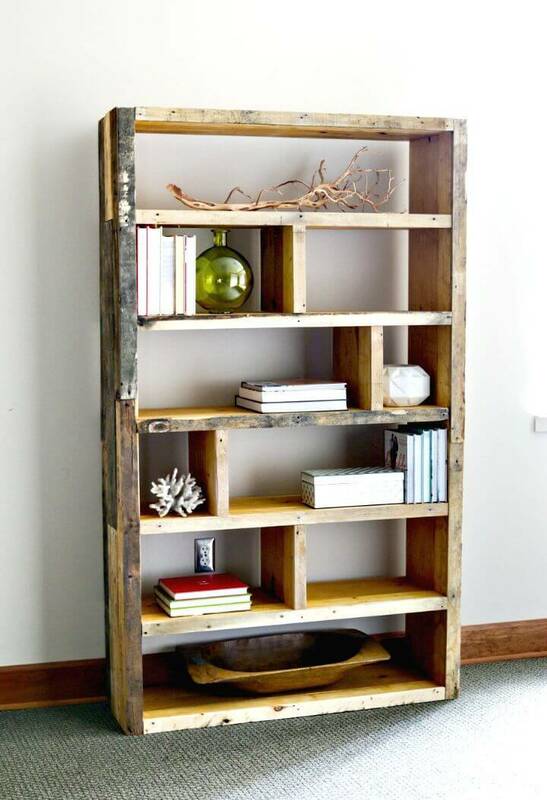 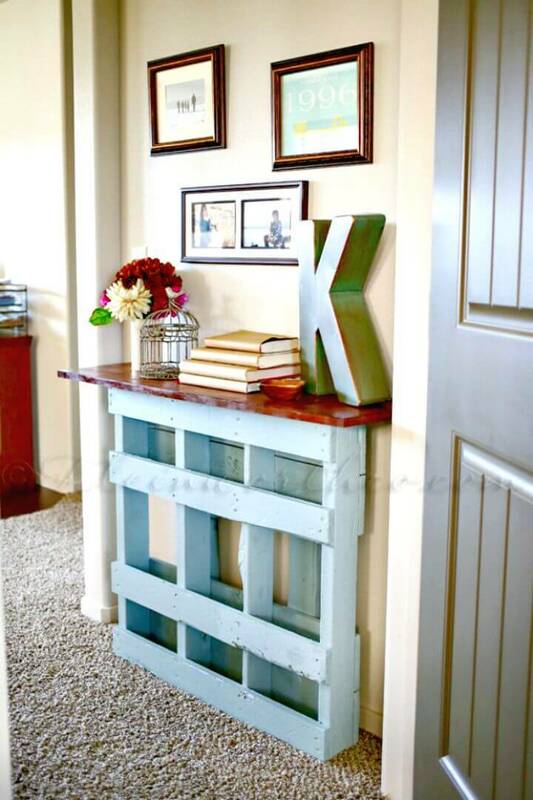 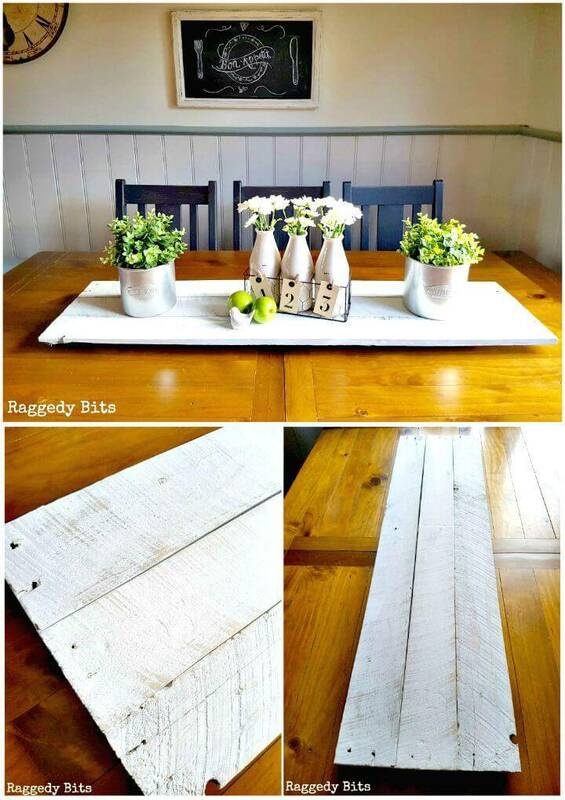 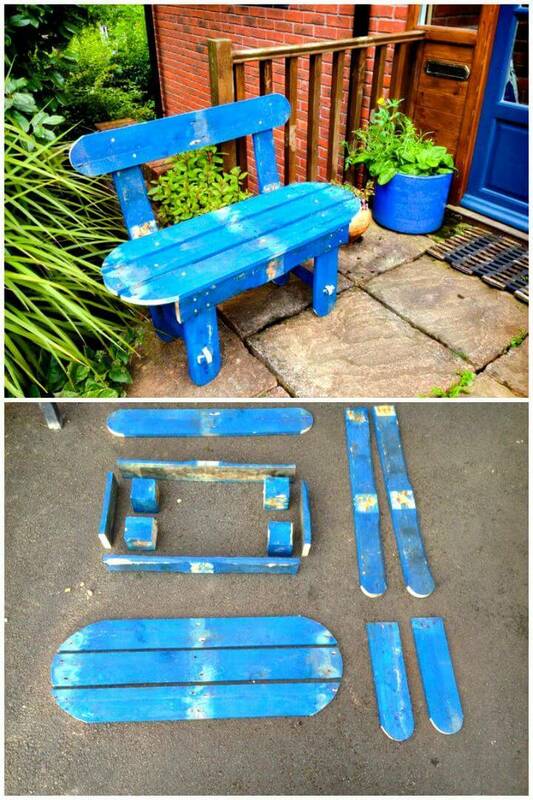 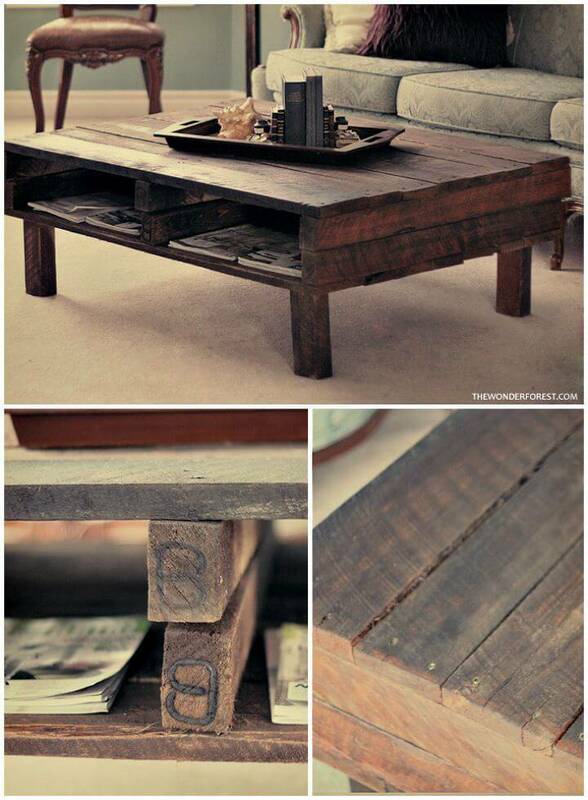 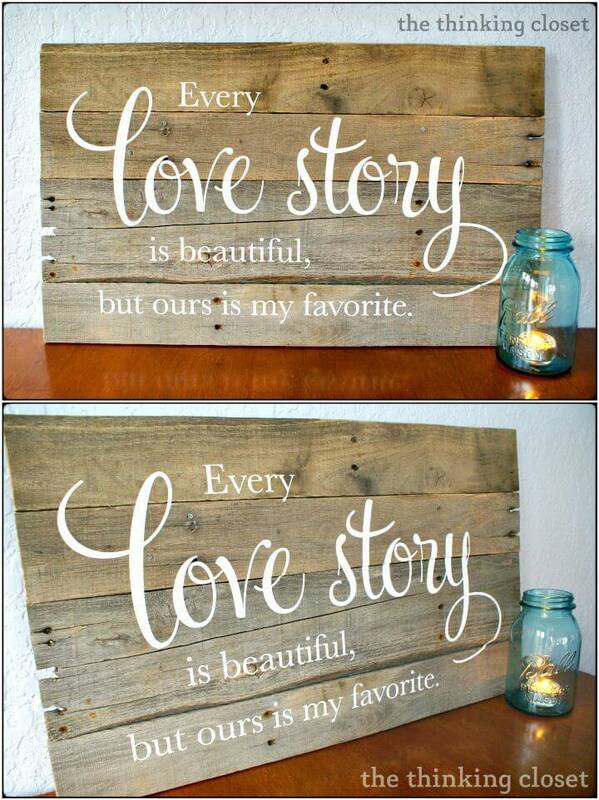 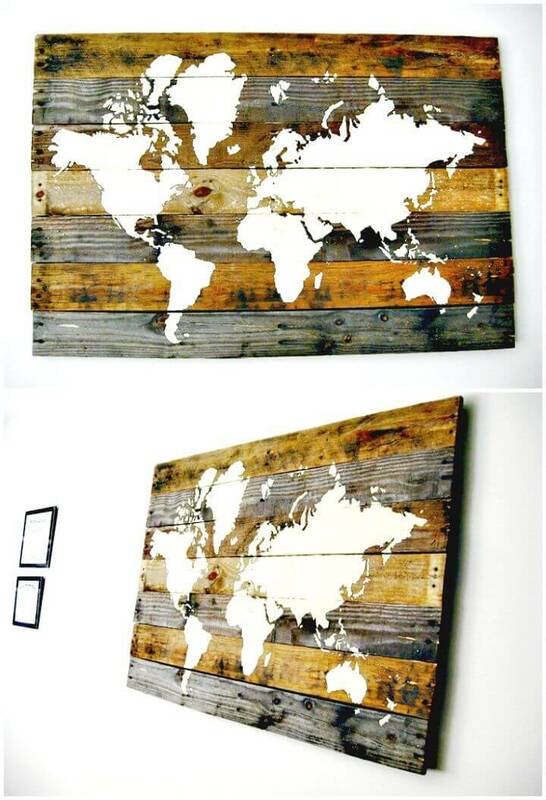 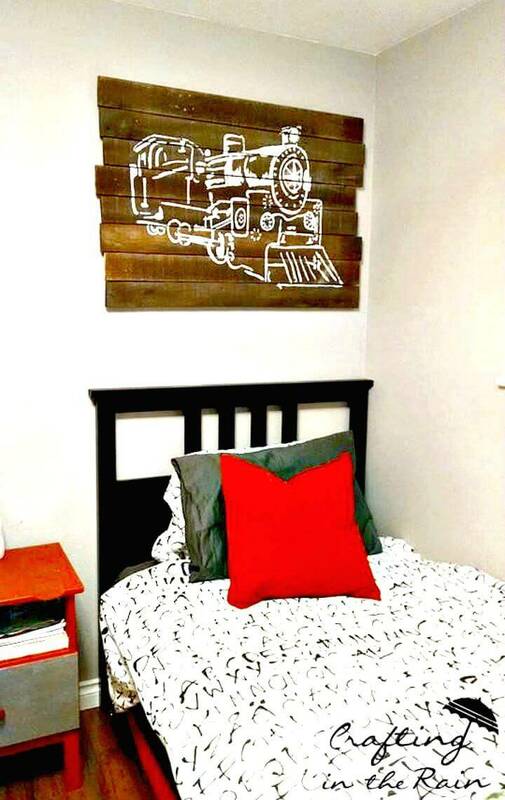 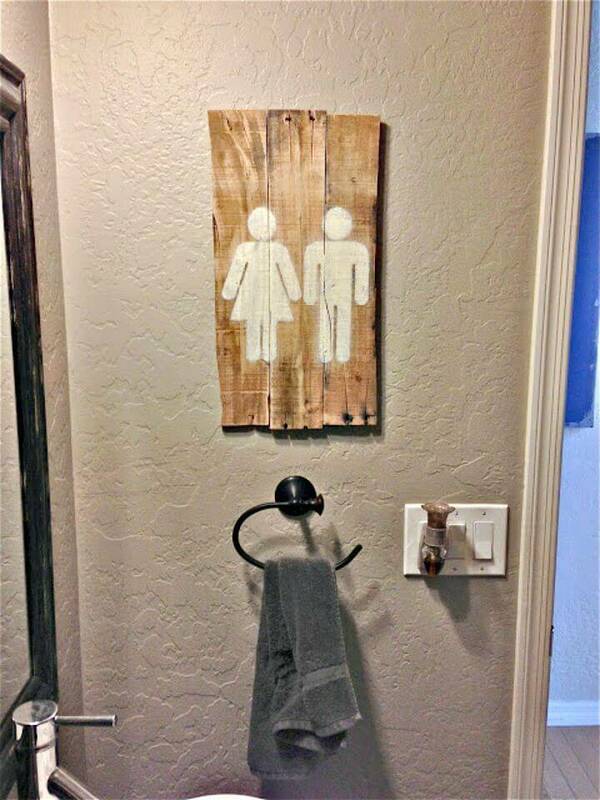 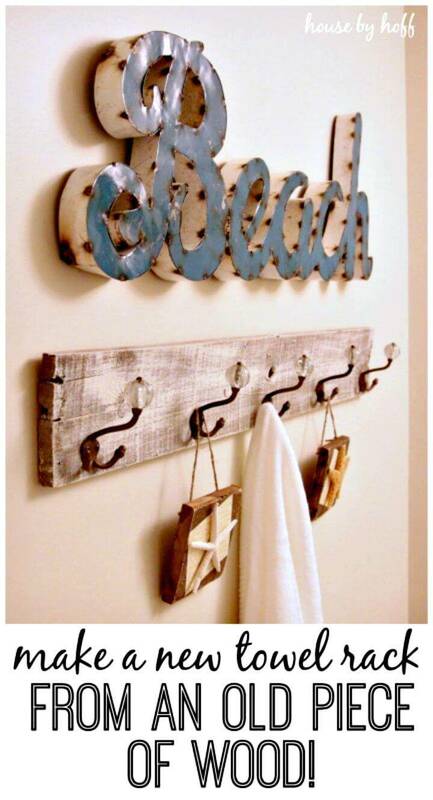 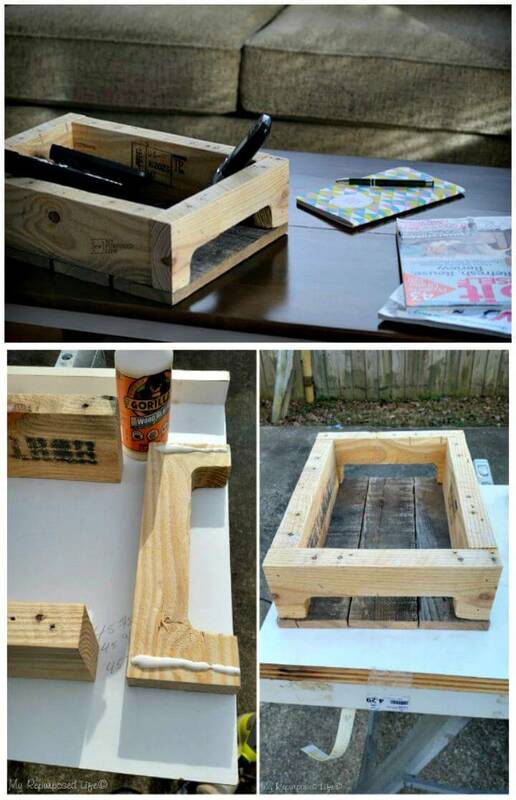 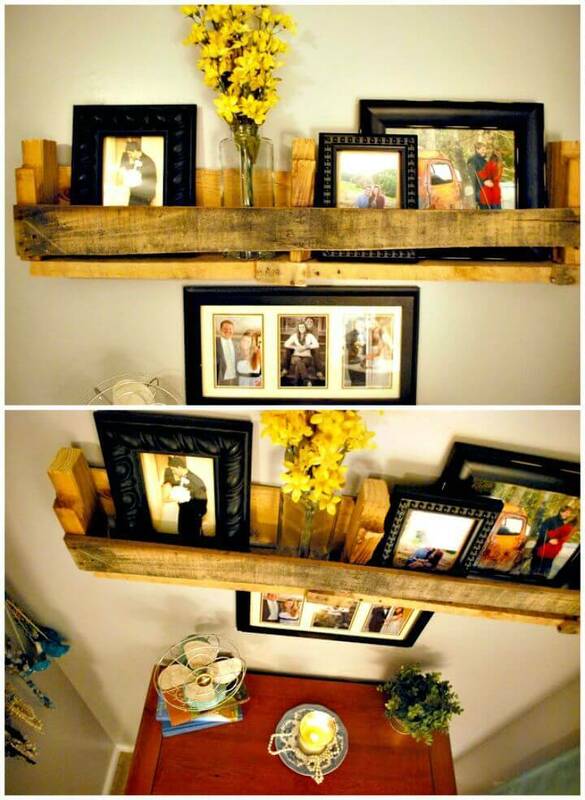 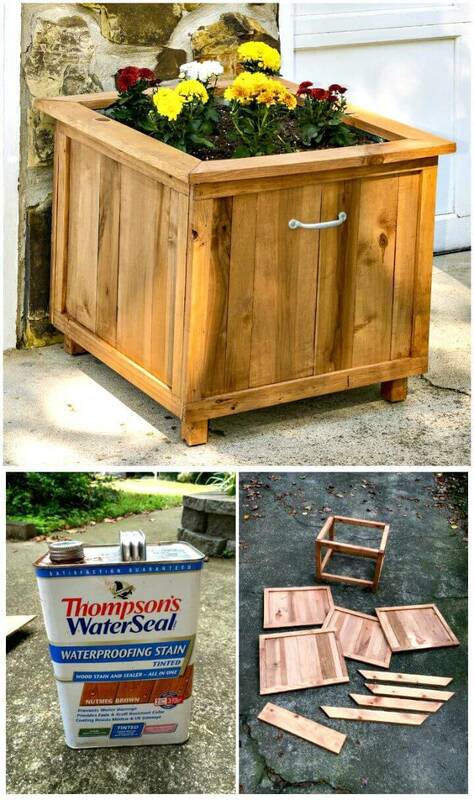 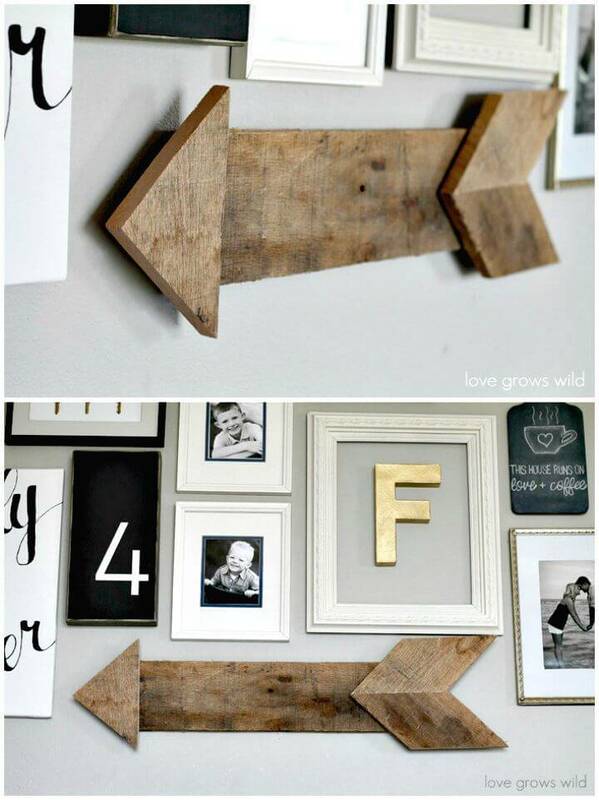 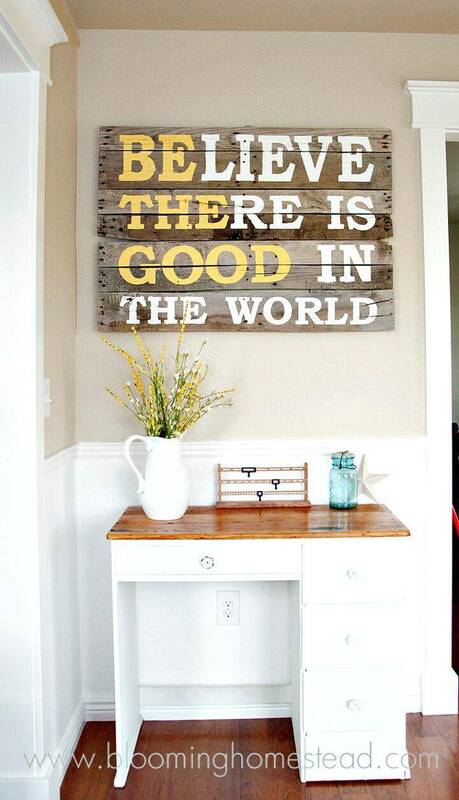 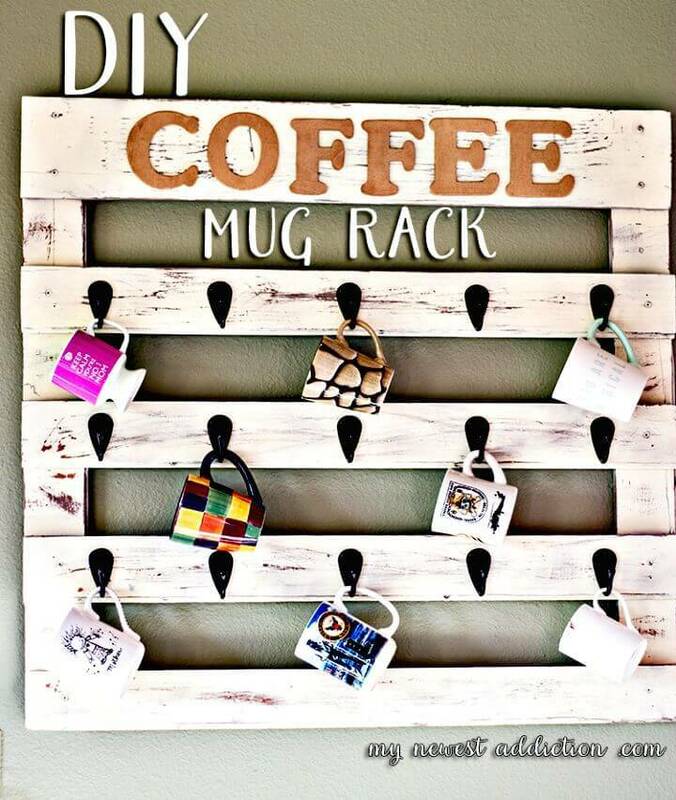 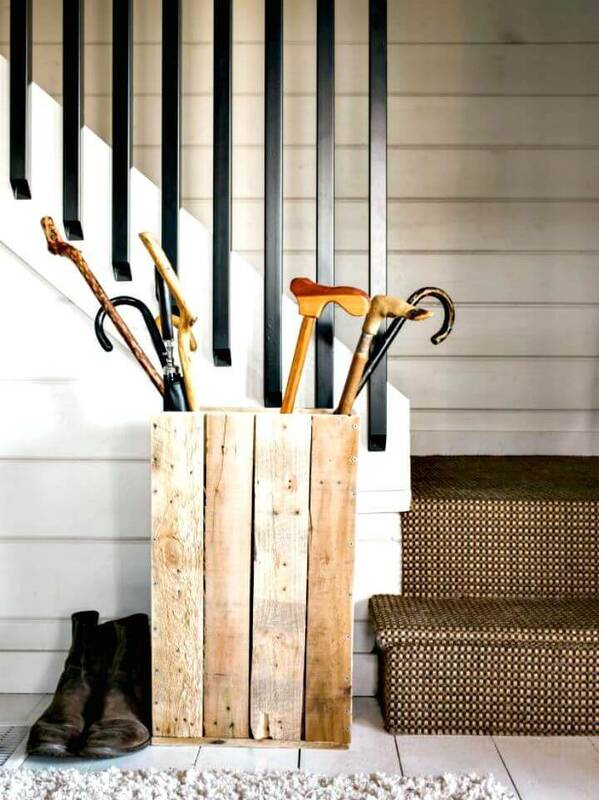 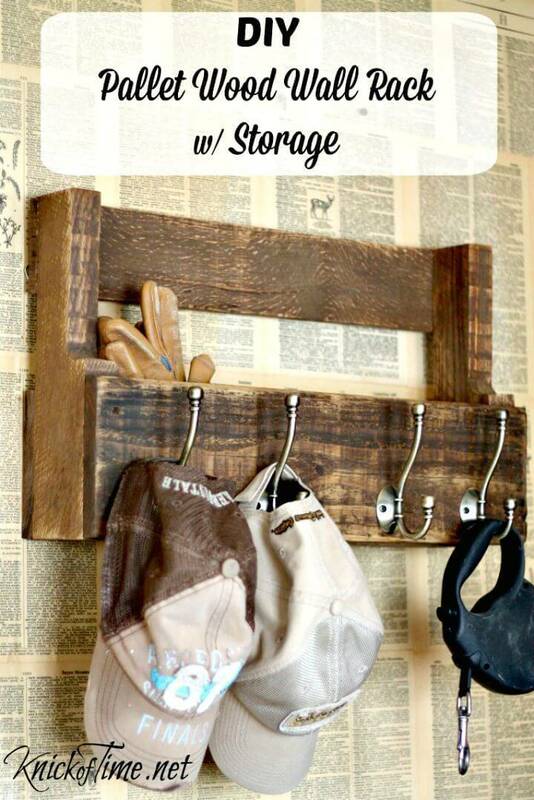 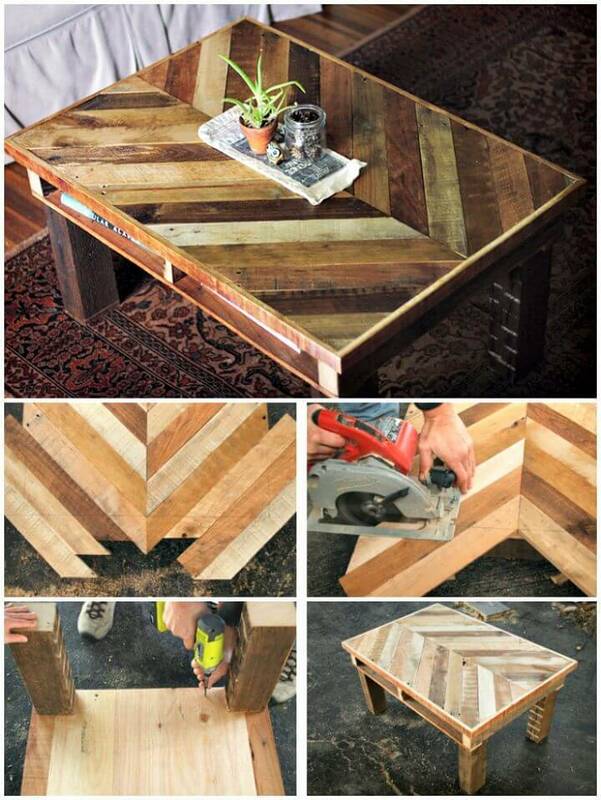 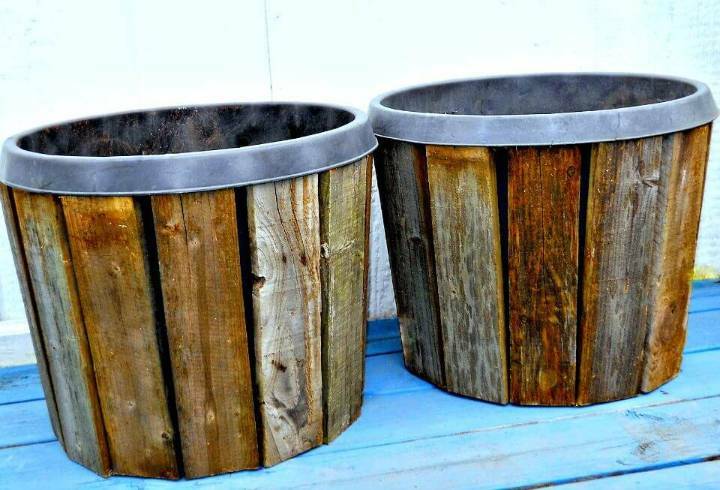 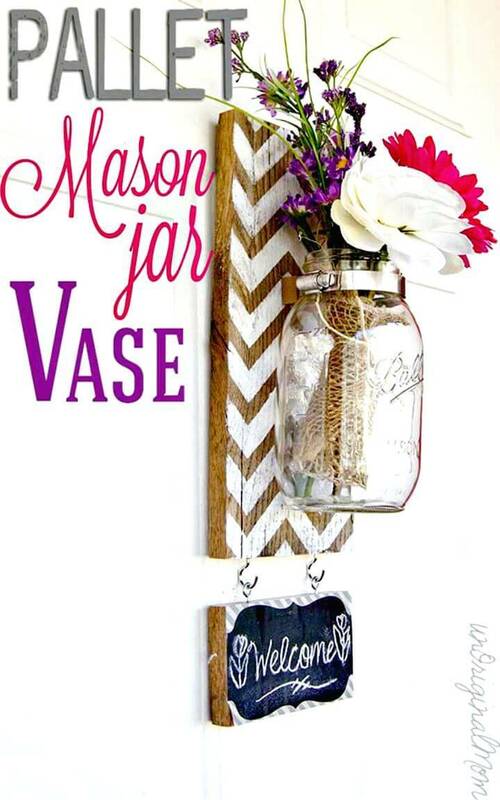 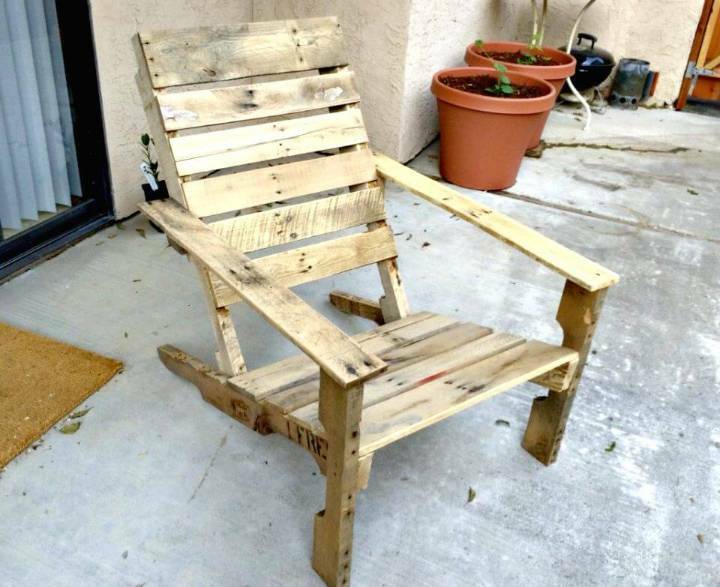 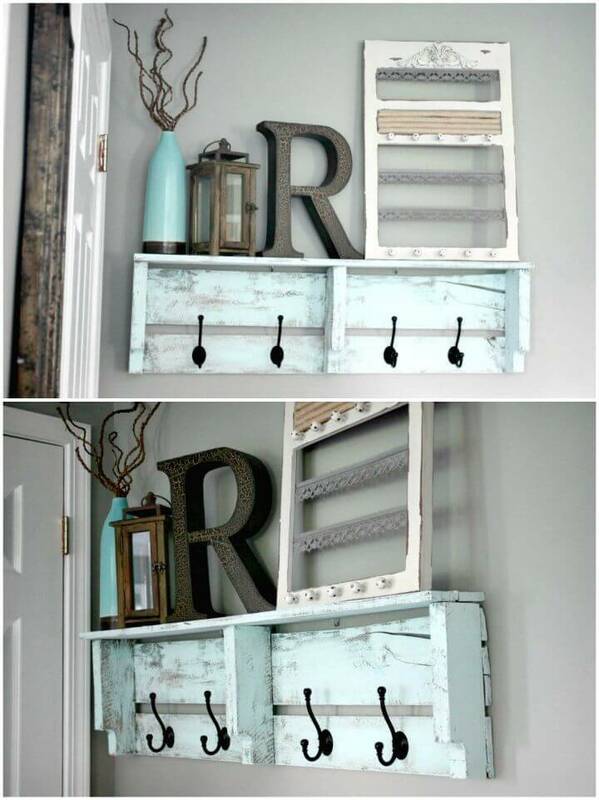 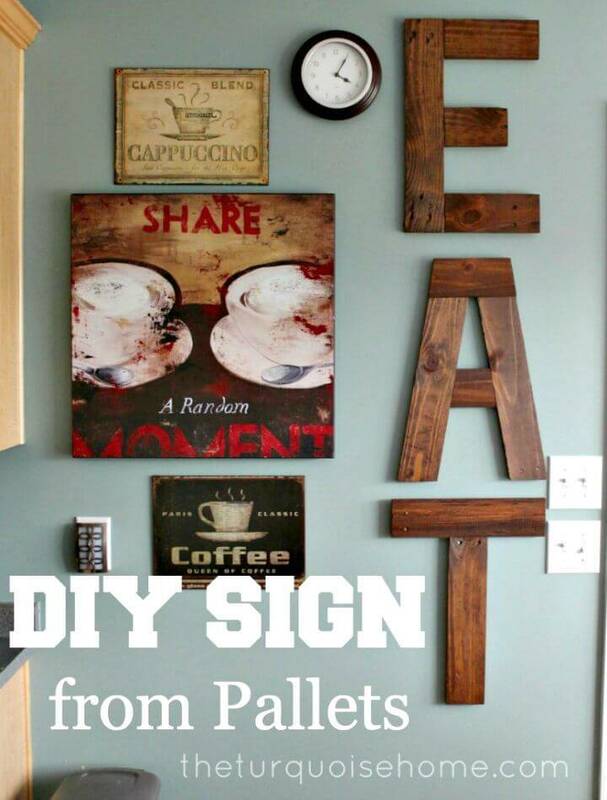 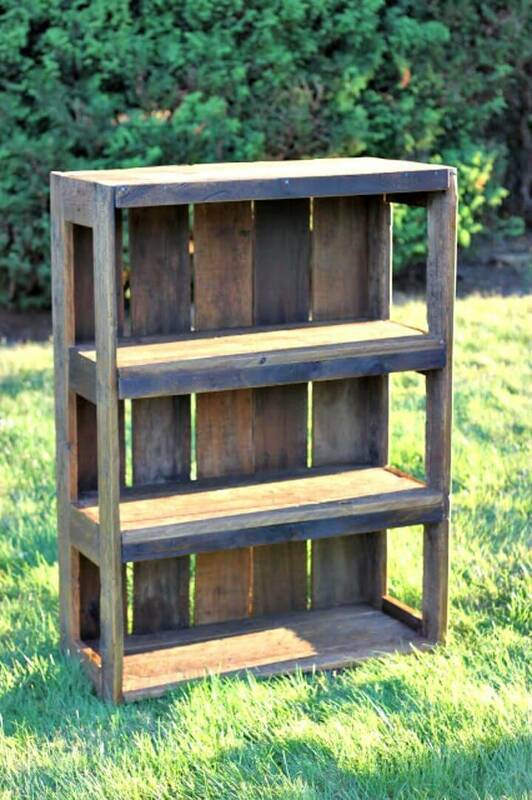 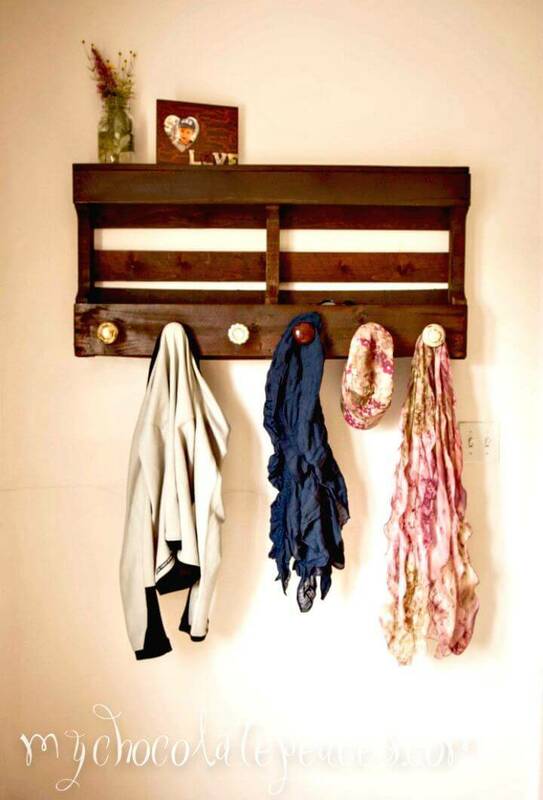 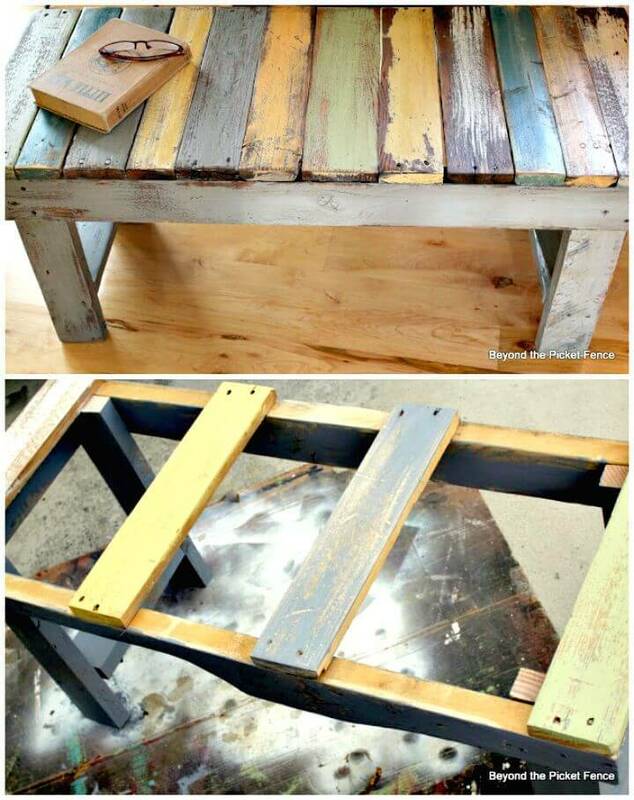 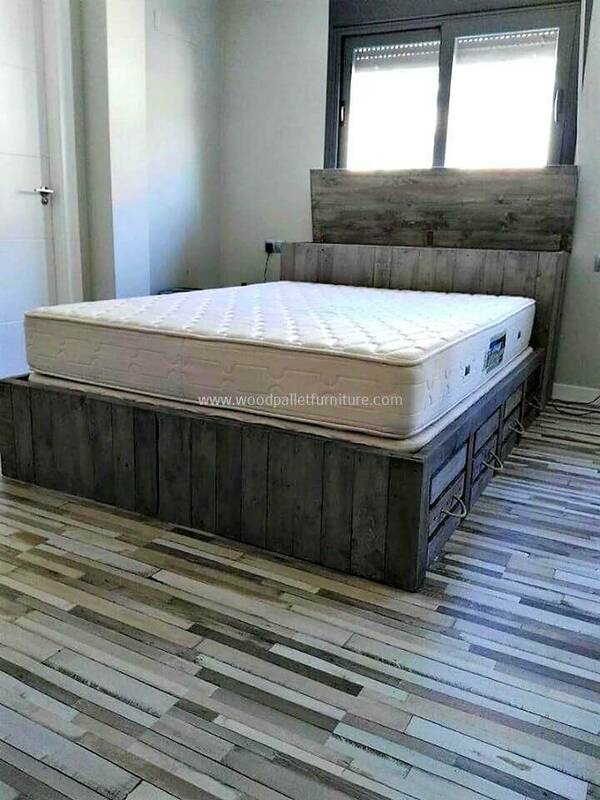 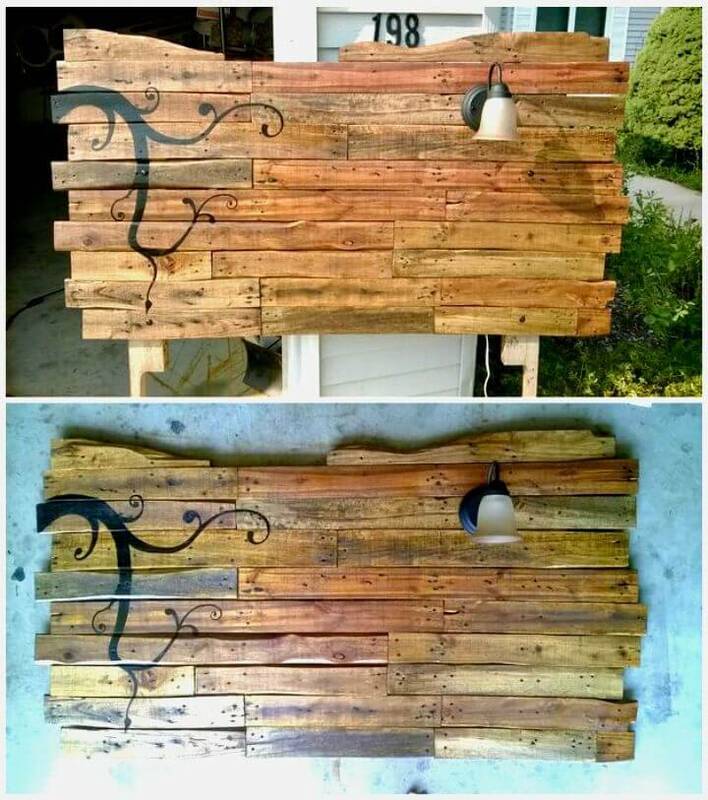 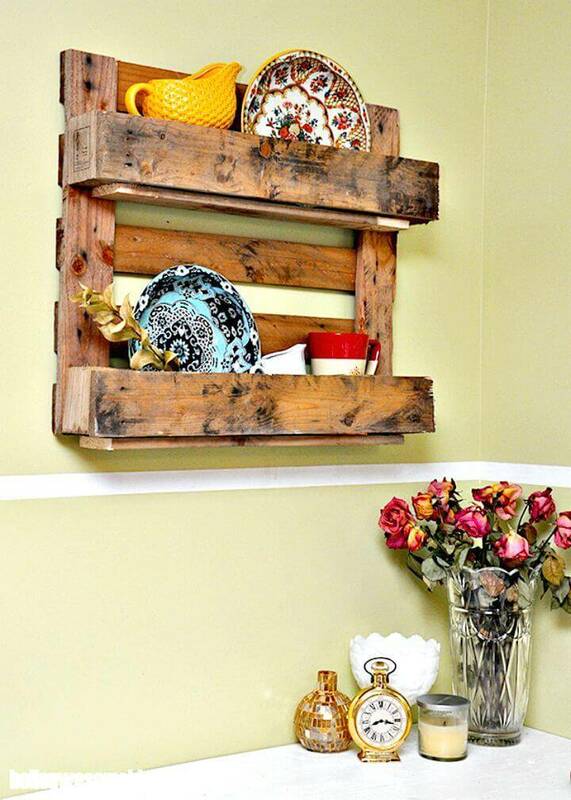 The pallet wood junk is lying around aimlessly, and you can pick them up and repurpose into some beautiful and useful pallet projects or pallet furniture possessions for your house, be it any. 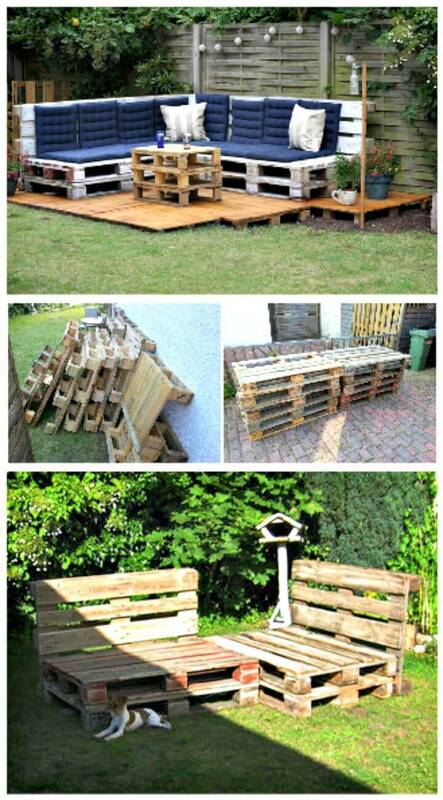 There are like endless possibilities to work with the pallets for the gain of all furniture kinds and types a house needs or demands. 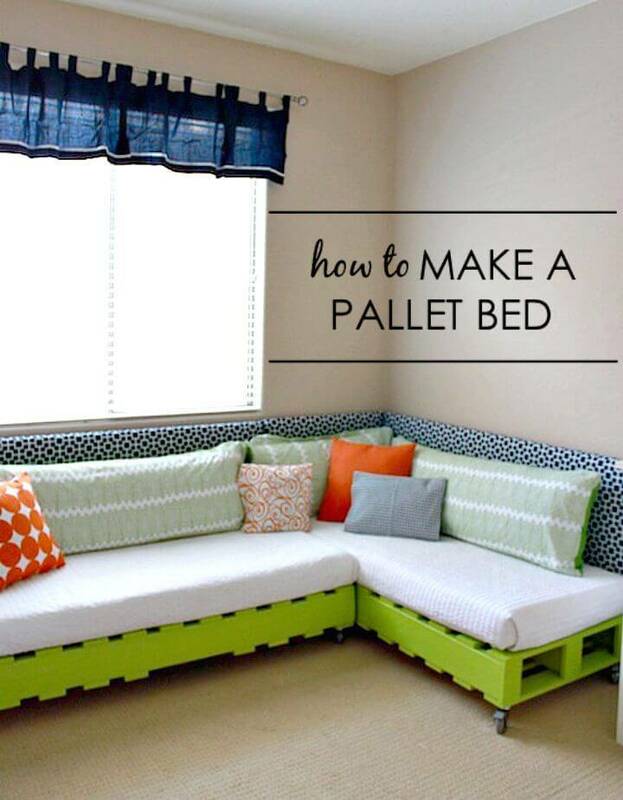 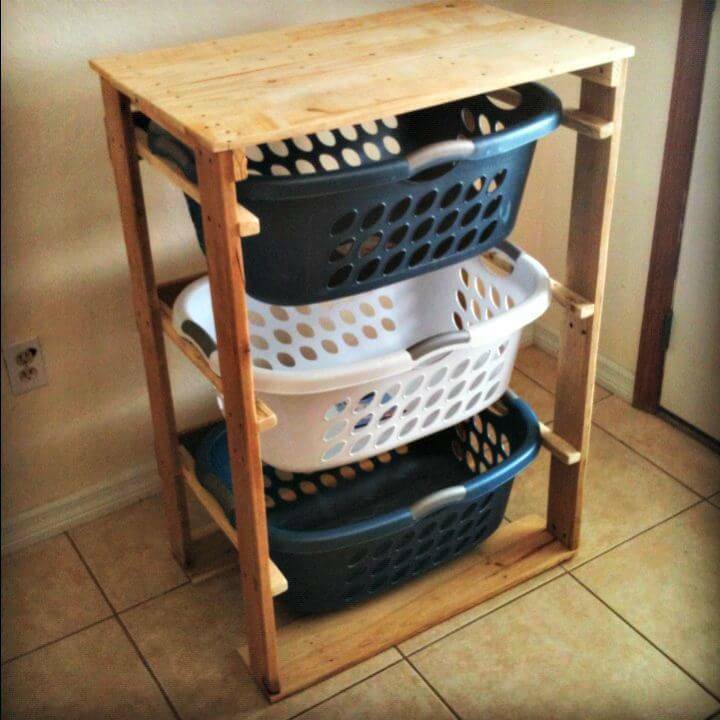 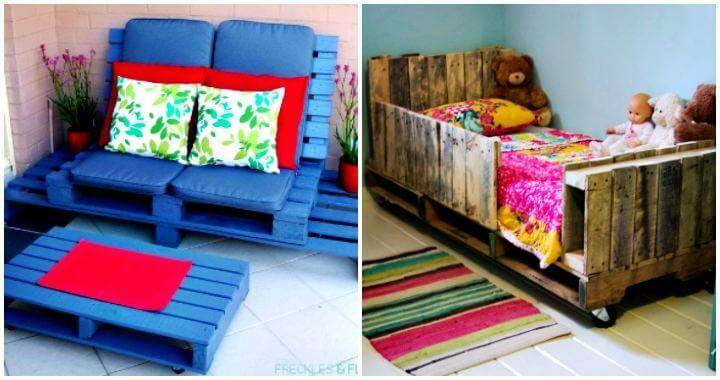 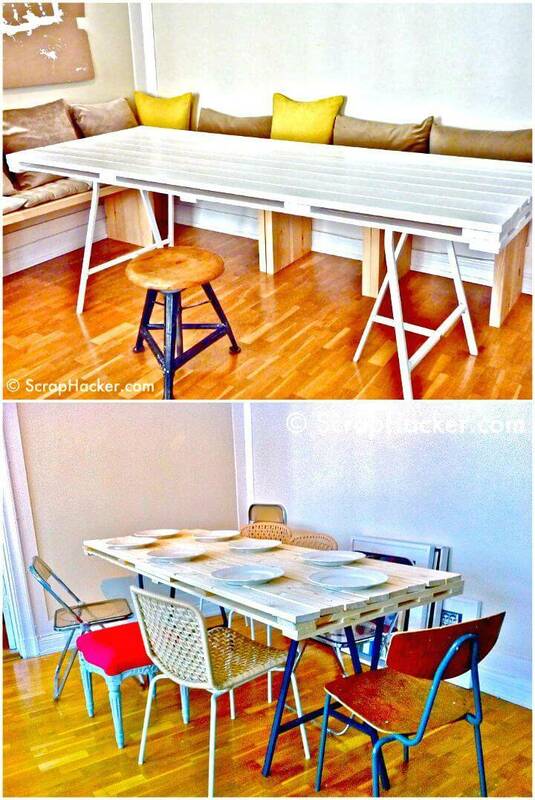 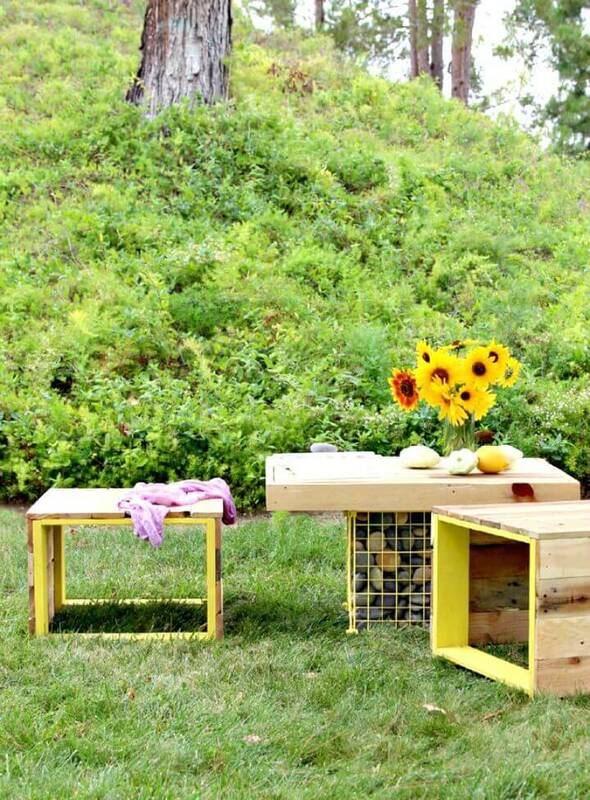 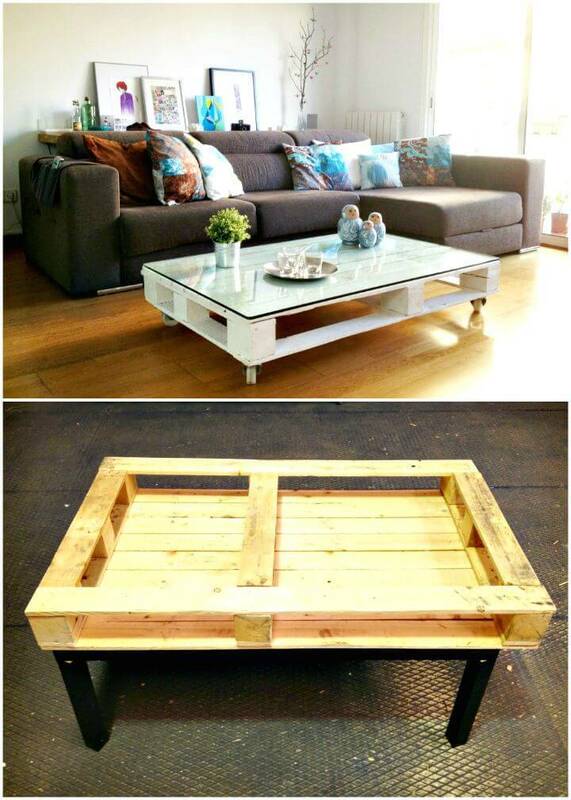 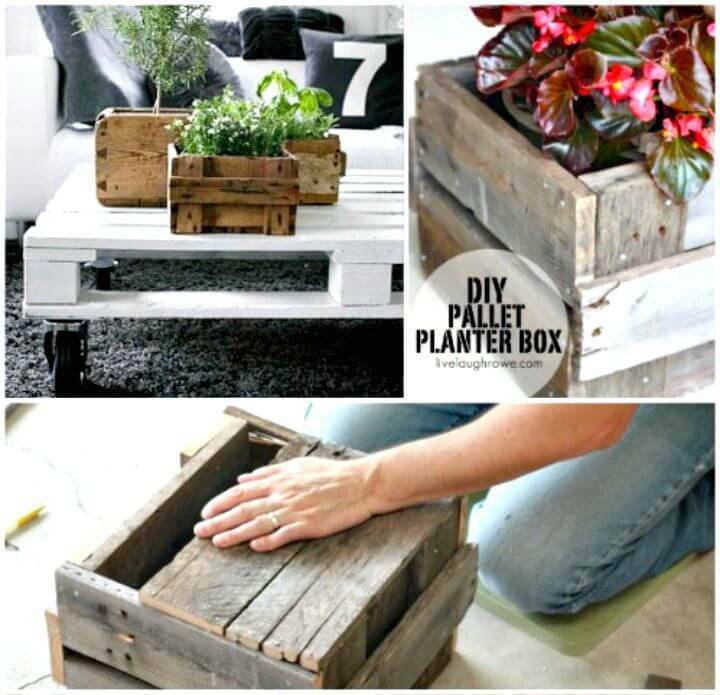 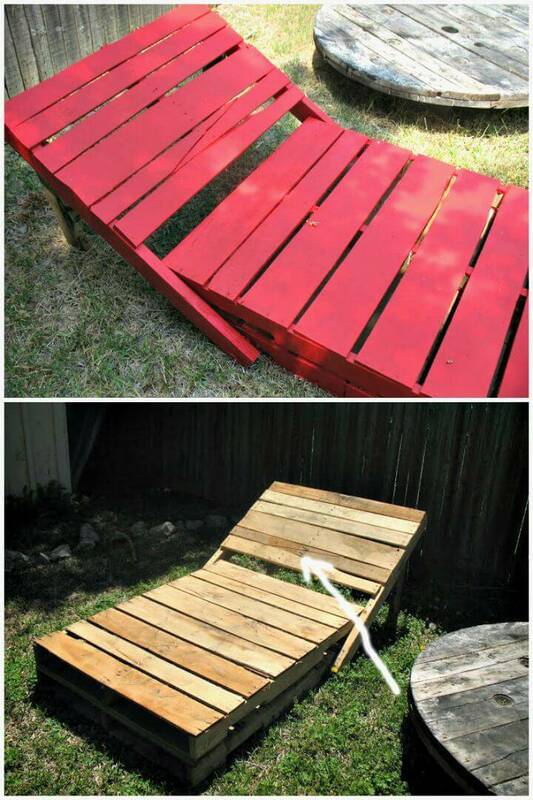 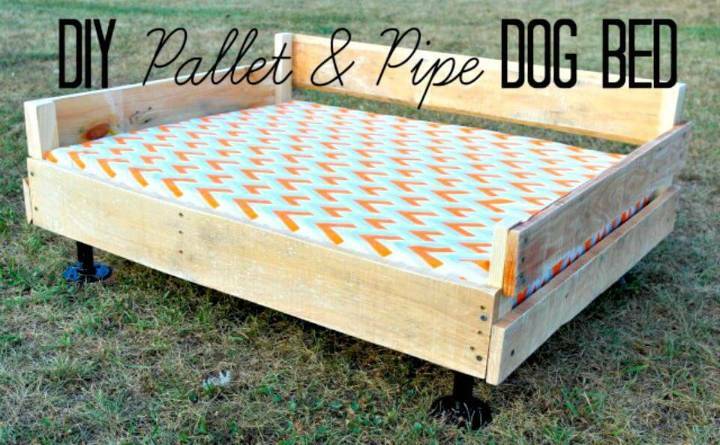 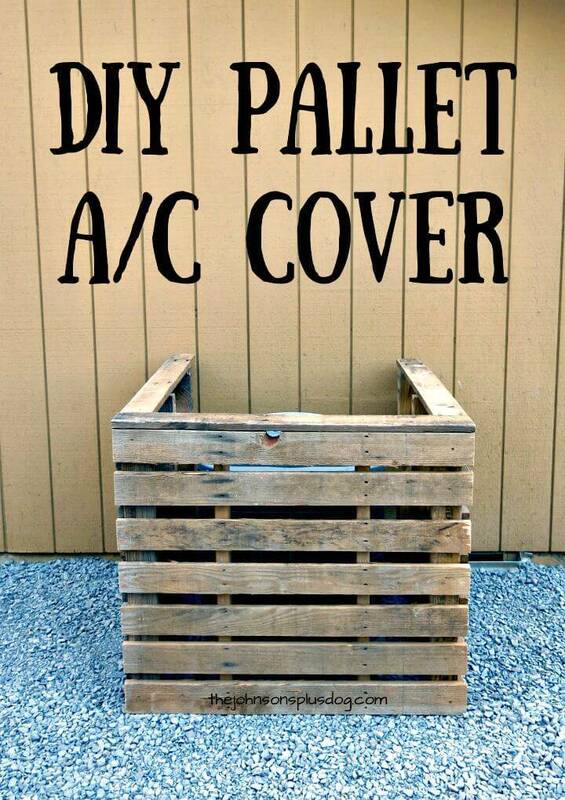 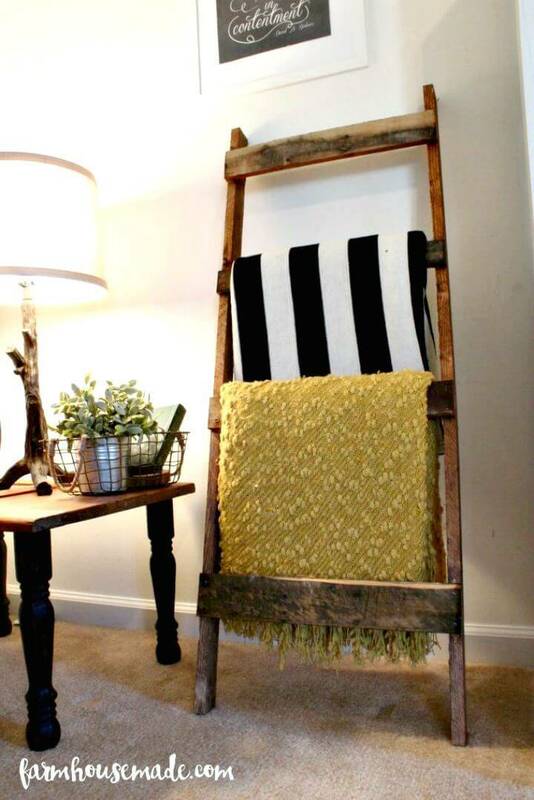 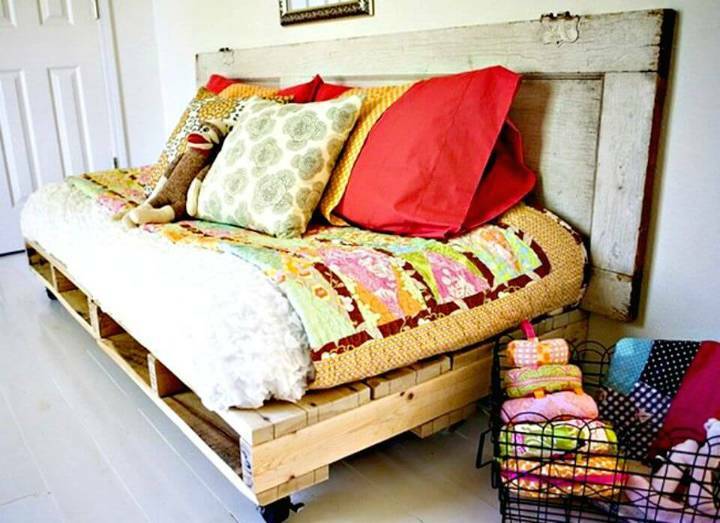 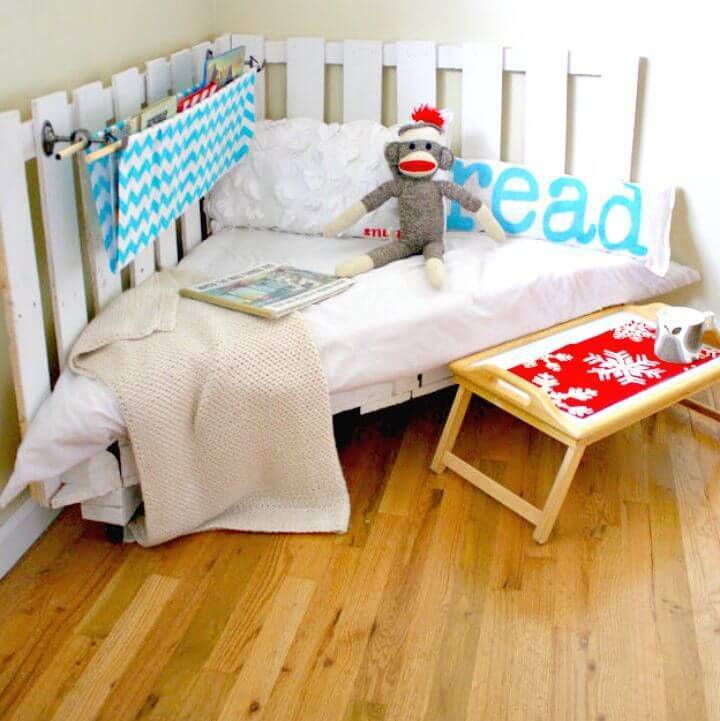 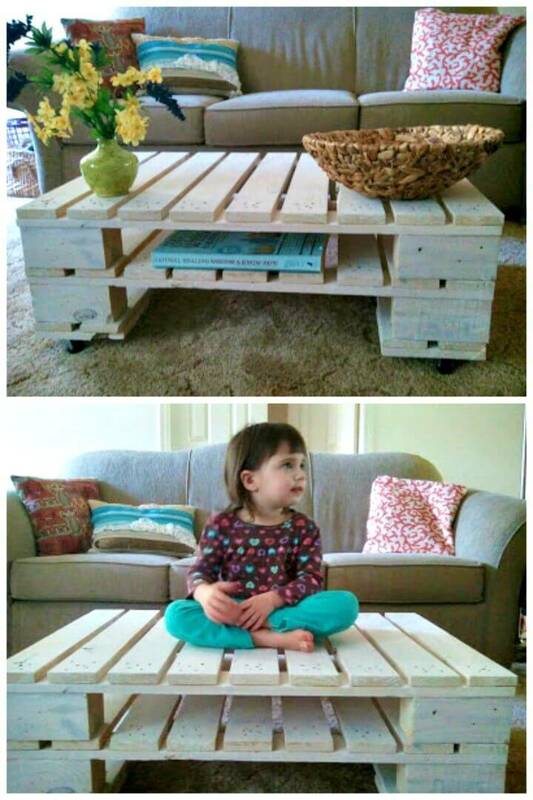 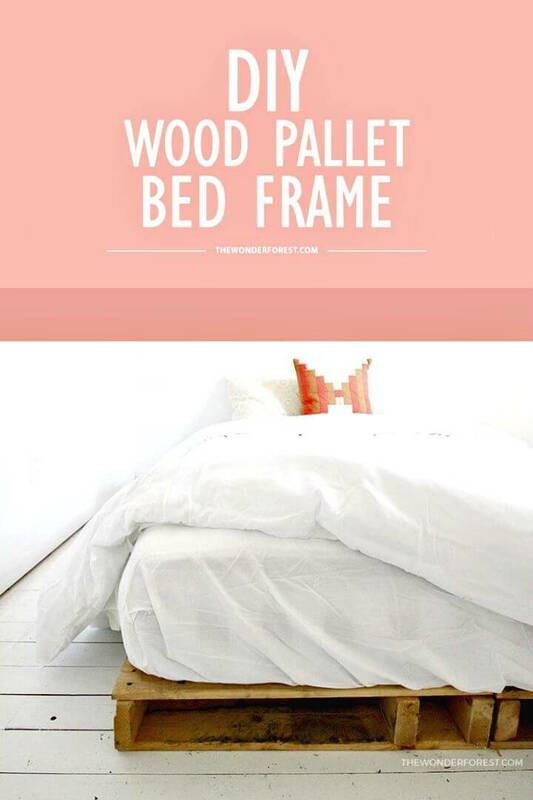 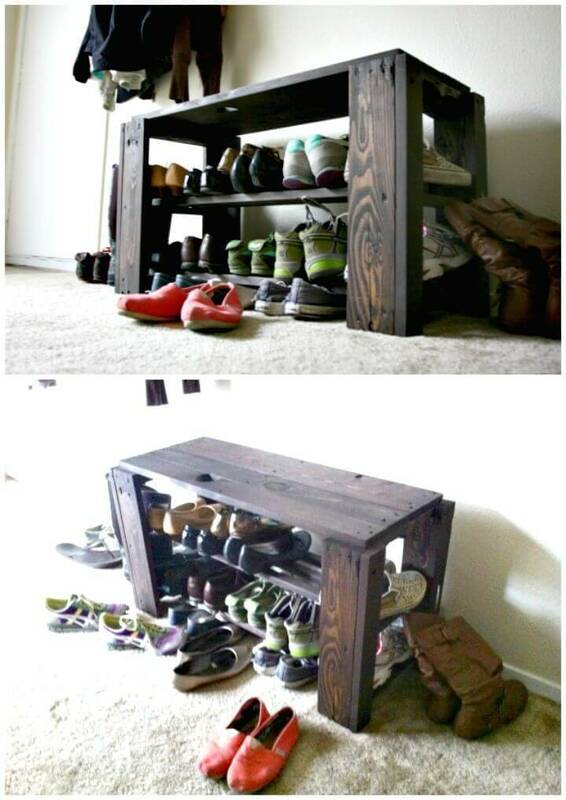 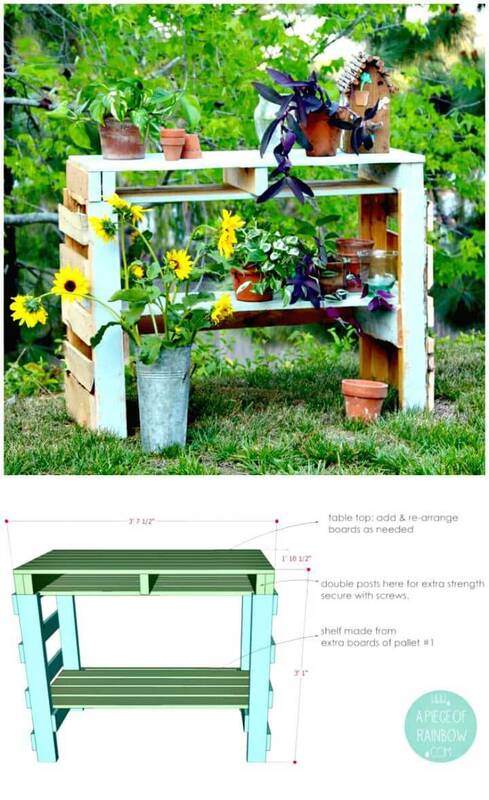 To ease it out for you we have lapped up these 150 easy DIY pallet projects and ideas that you can look into and get functionally pallet furniture build up on your own. 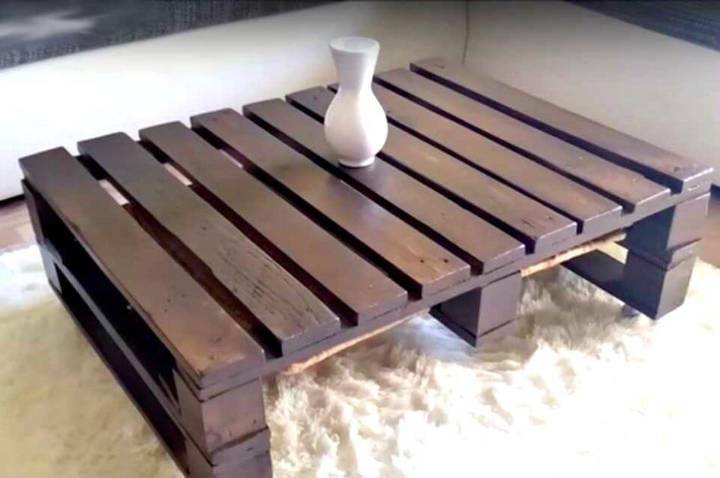 Sofa, chairs, swings, coffee tables, planters, dog beds, bars, beds, shelves, or name anything that comes under the label of Furniture and you would surely find it in our giant pallet furniture collection given below. 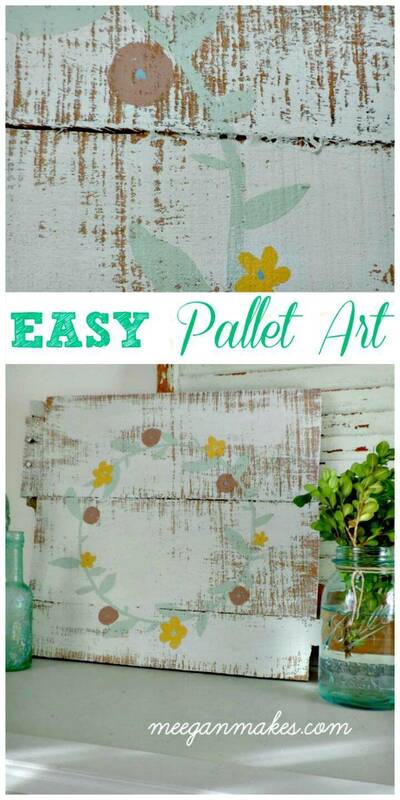 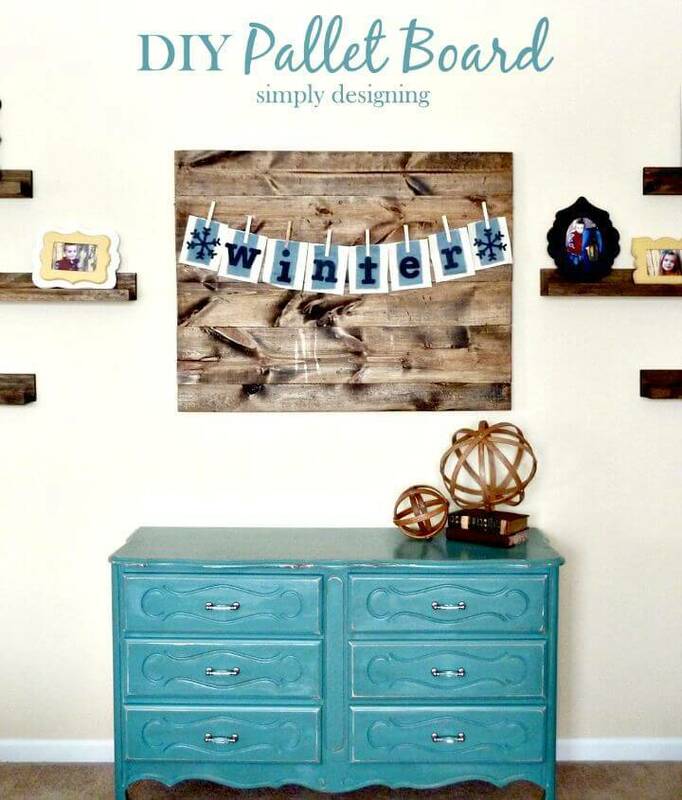 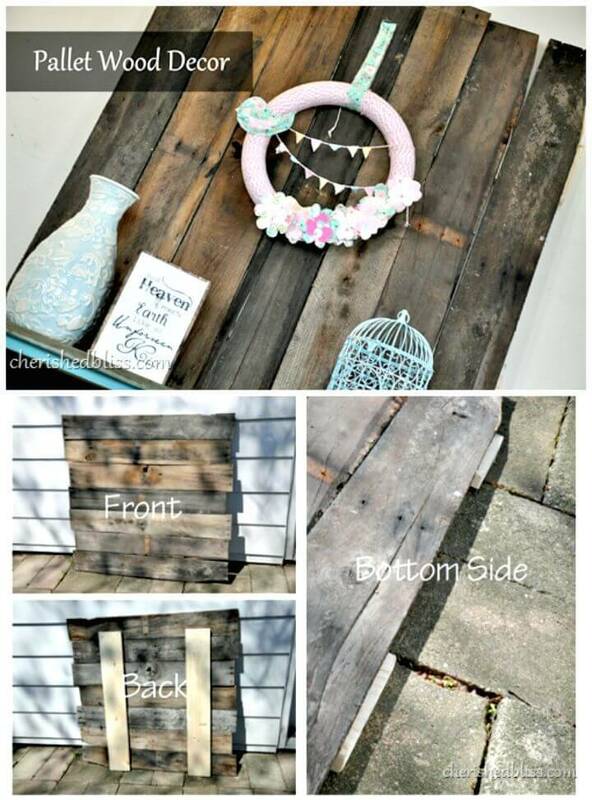 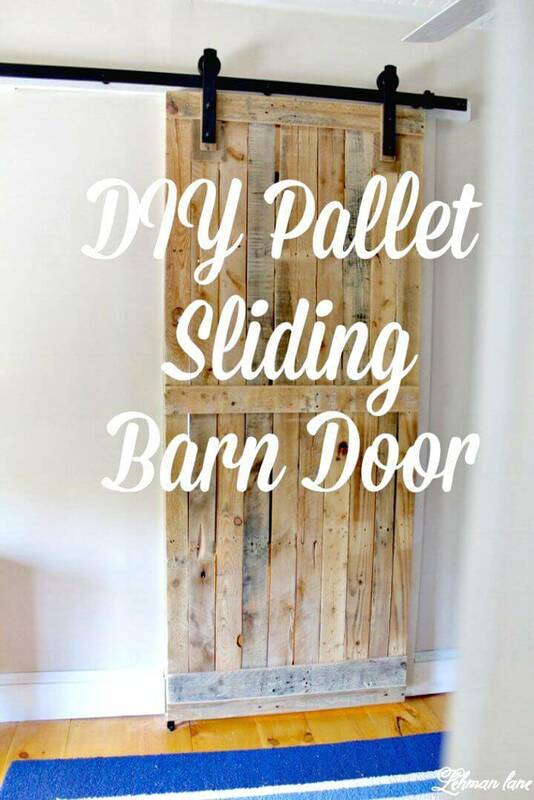 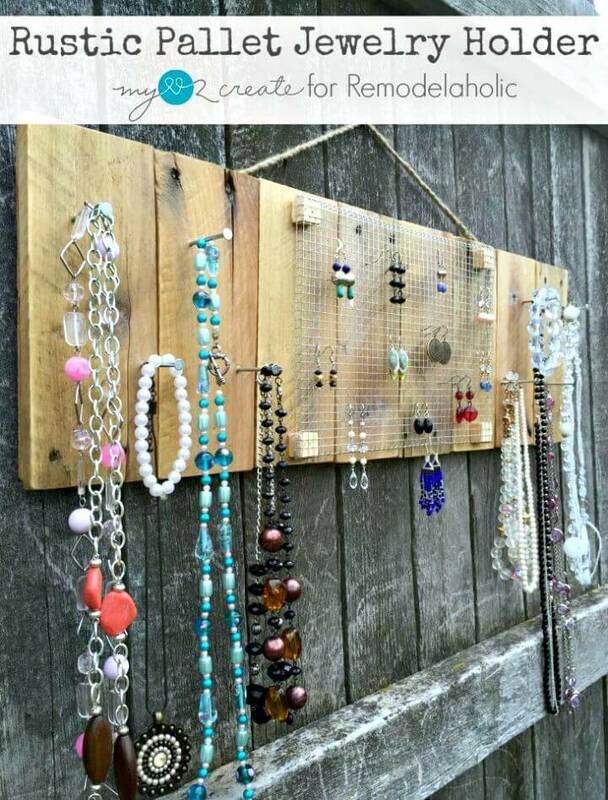 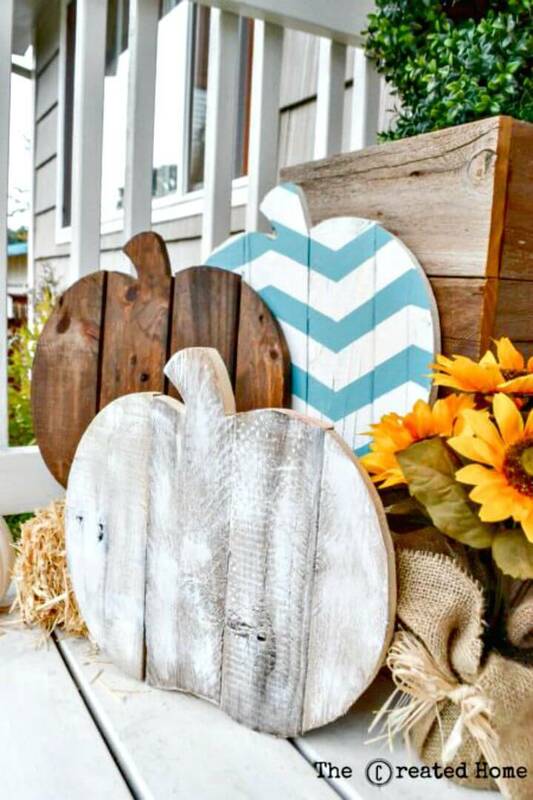 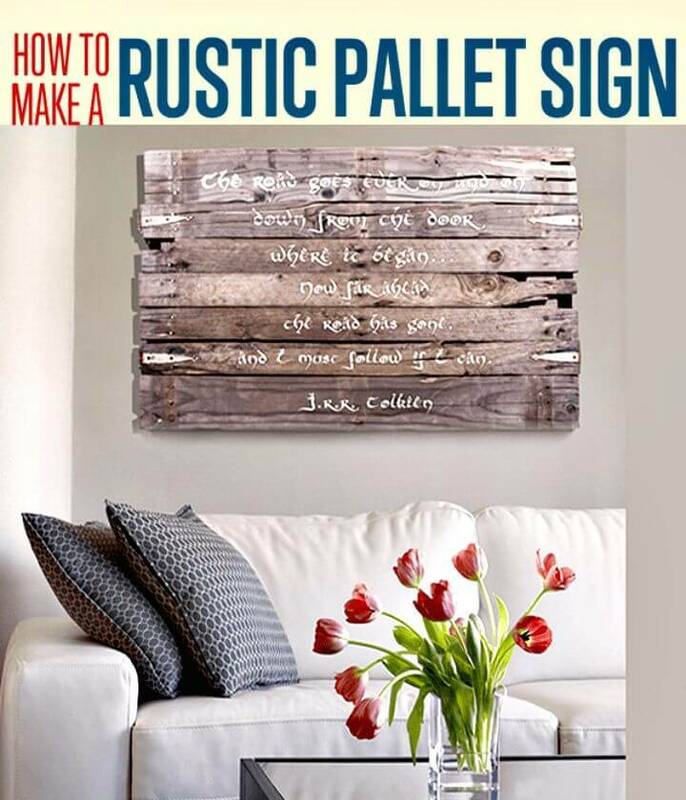 Each of the pallet projects has been allotted with the links to access the easy details and fun tutorials so you ought to explore them and enjoy utter ease to work up on your favorite pallet ideas. 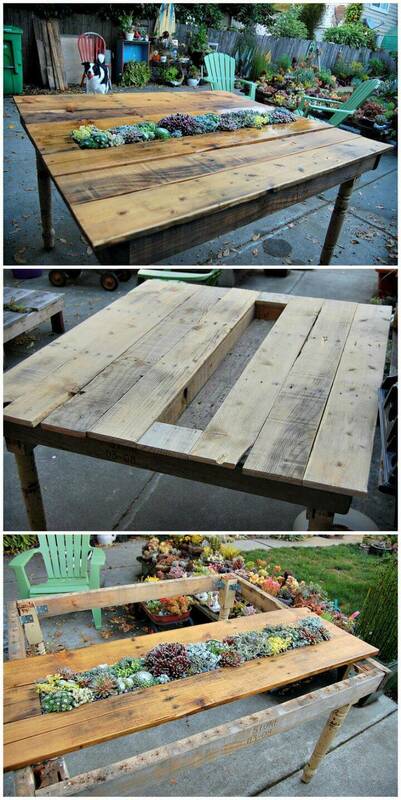 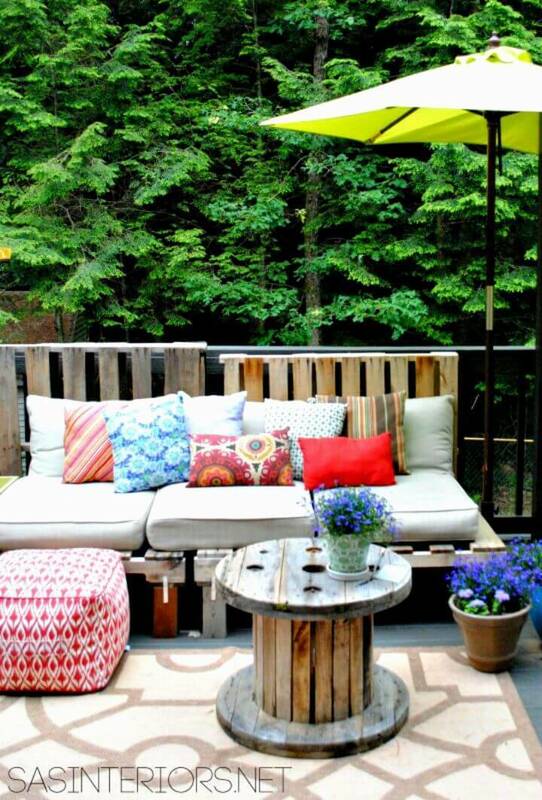 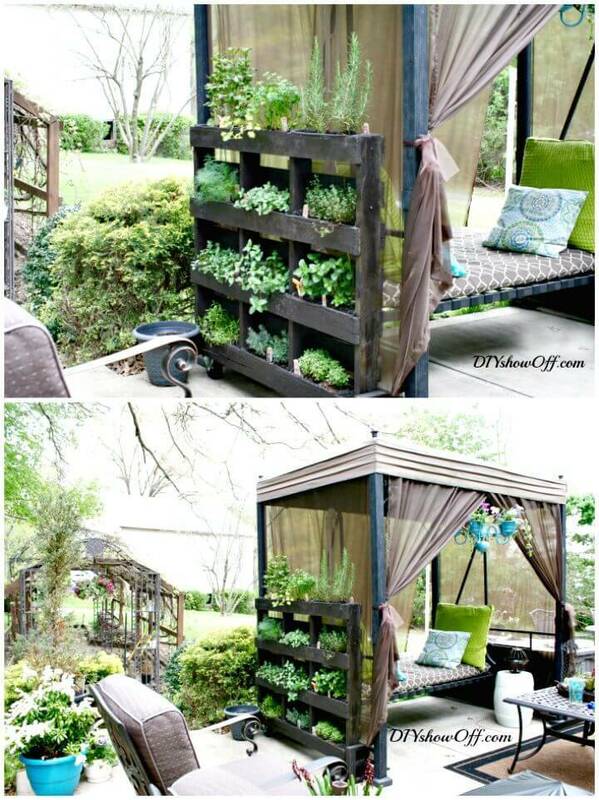 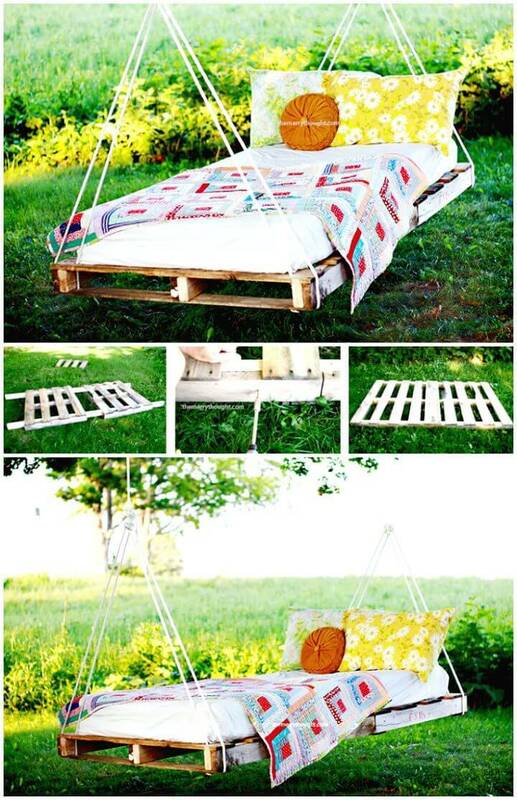 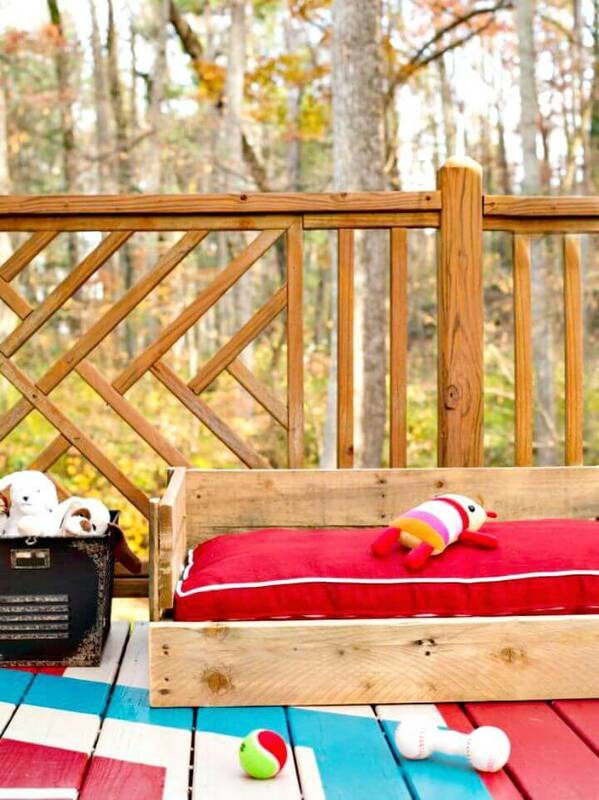 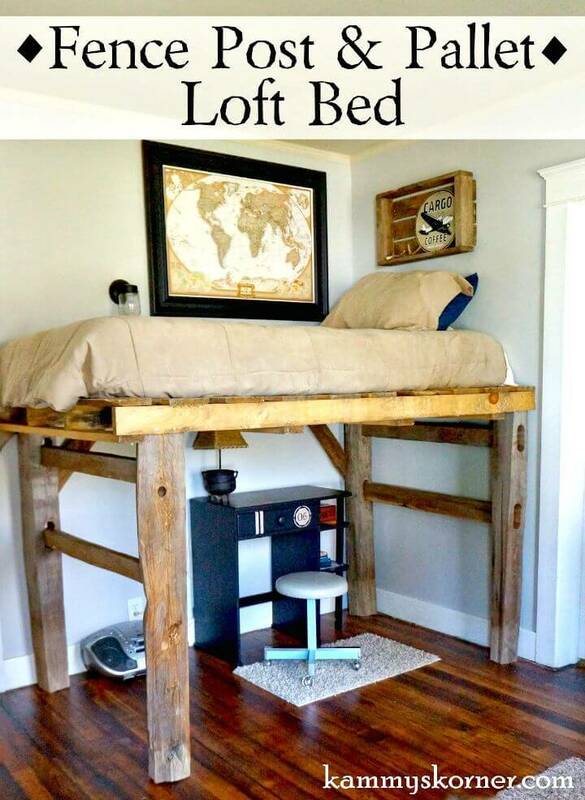 Enjoy great having by lying comfortably on a hanging pallet garden bed which would be pretty quick to build and also make life easier with the special succulent pallet table, an ever unique hand-built table! 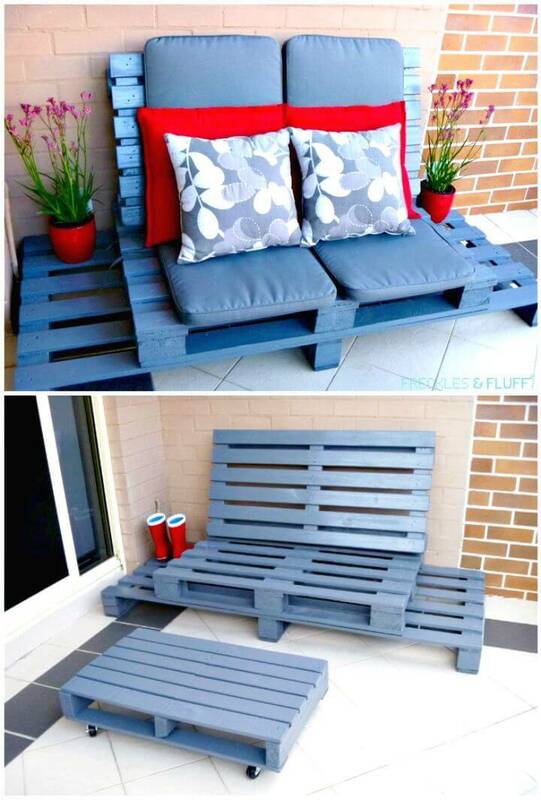 Gain the comfy seats at outdoor to enjoy the daydreaming and party time sitting and also build custom beds and headboards with pallets for your newly built bedrooms! 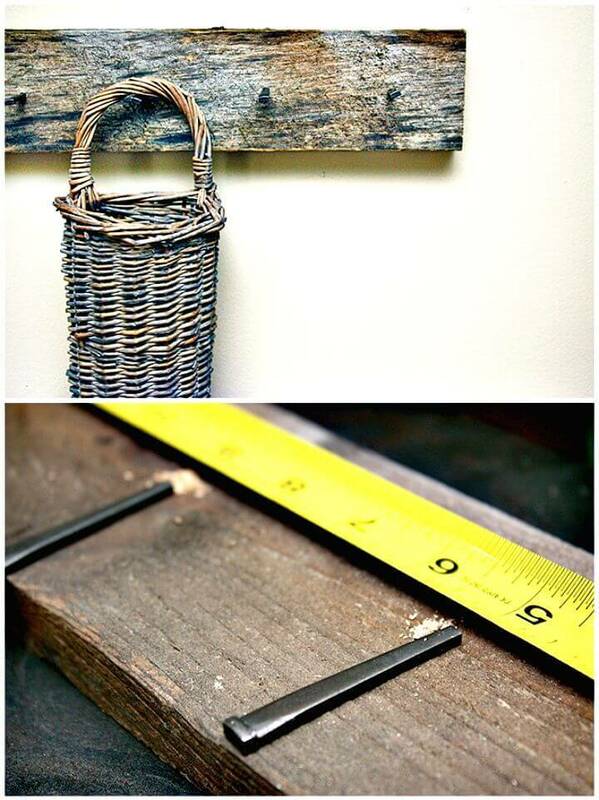 Check out some interesting samples given below in the list! 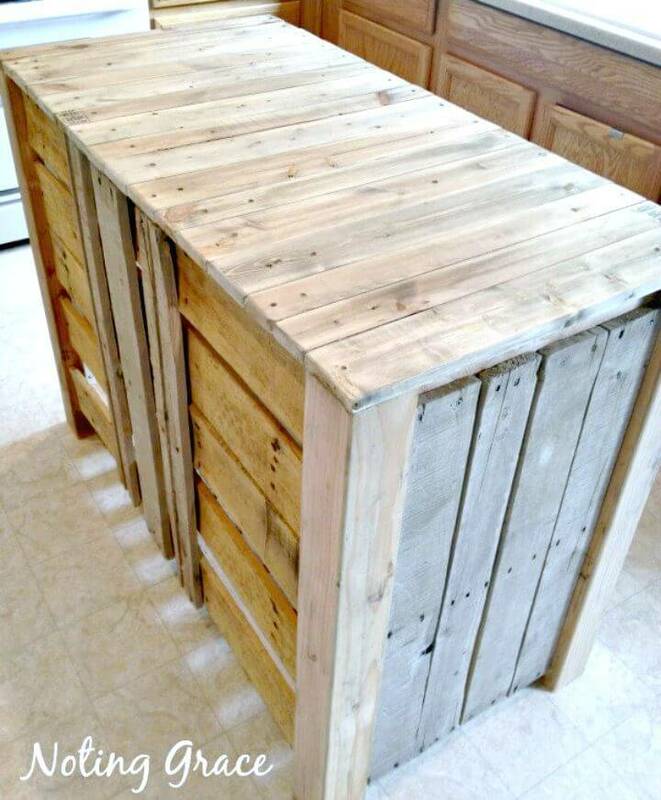 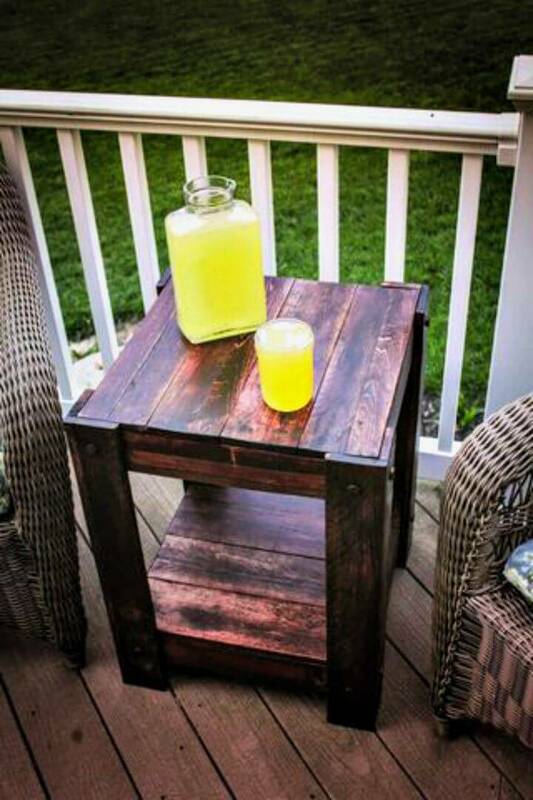 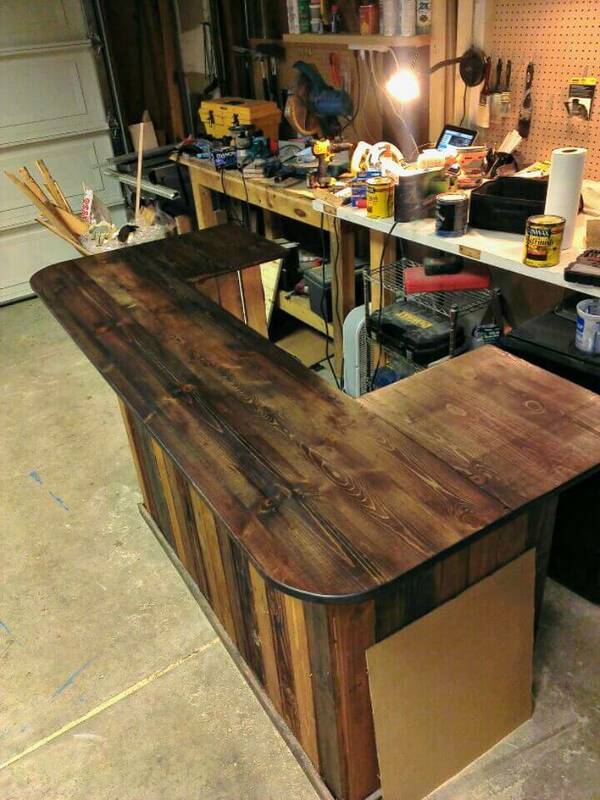 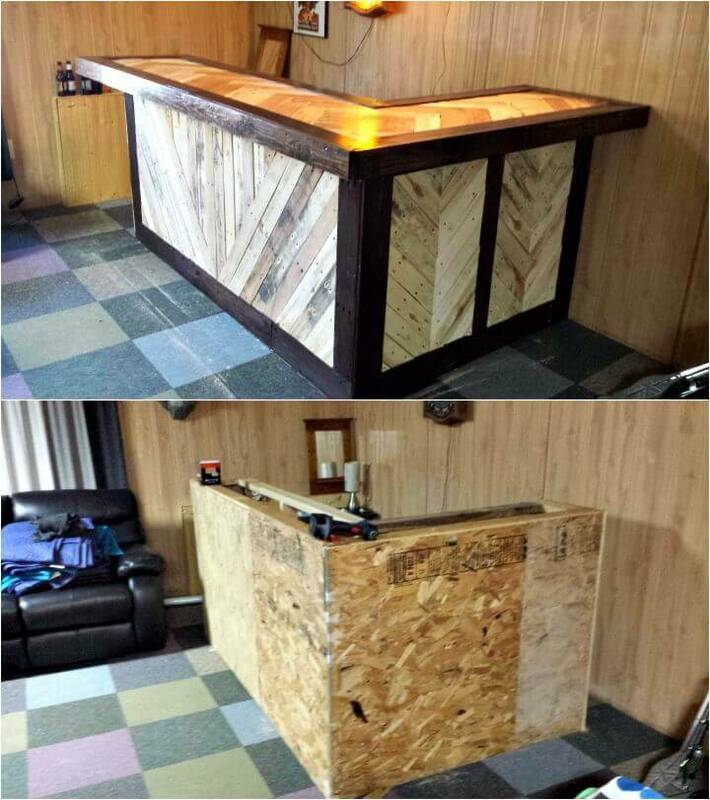 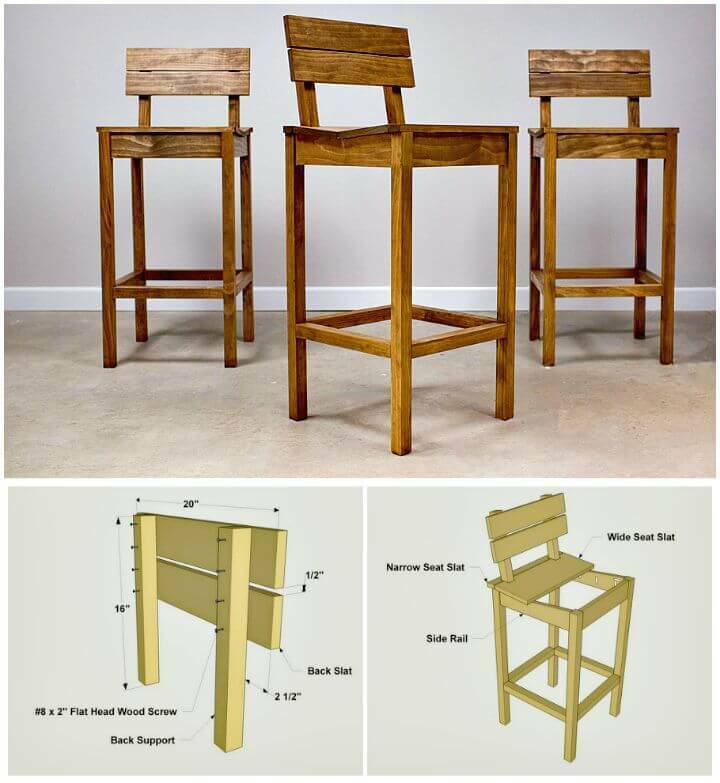 More, also raise the fun of life by building a custom bar furniture with pallet, an interesting sample here is the homemade L-shape wooden pallet bar that is robust and comes with edged countertop! 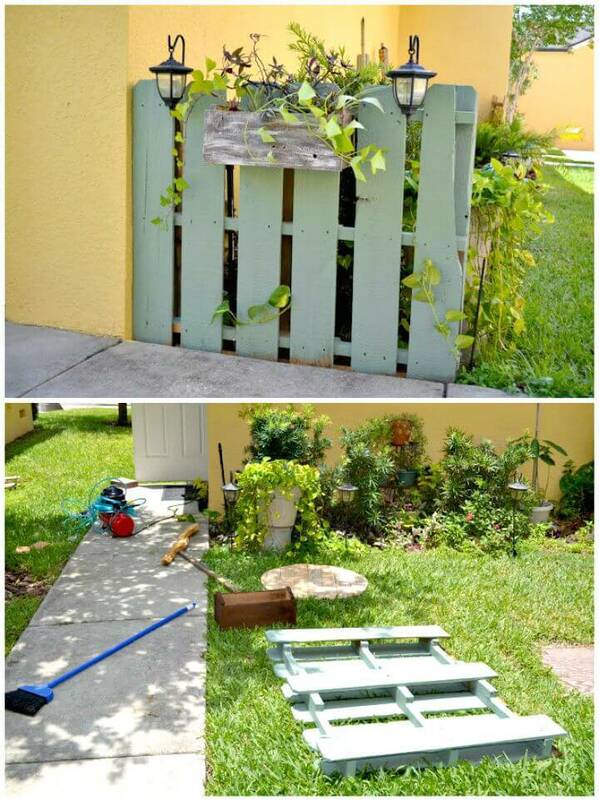 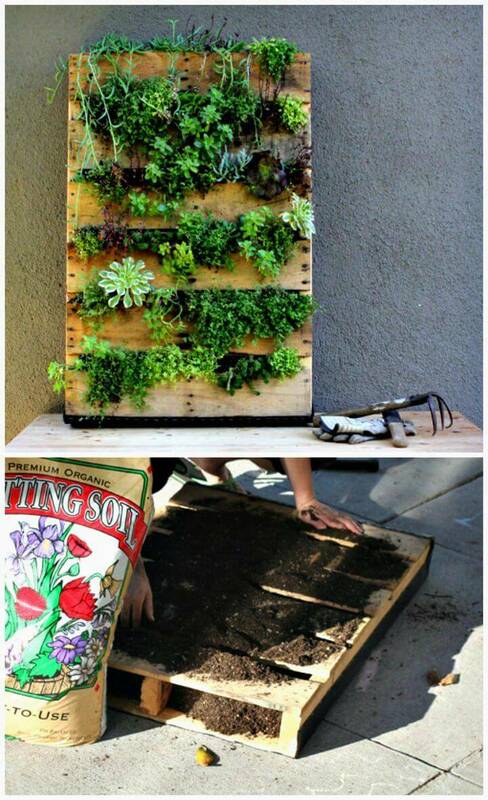 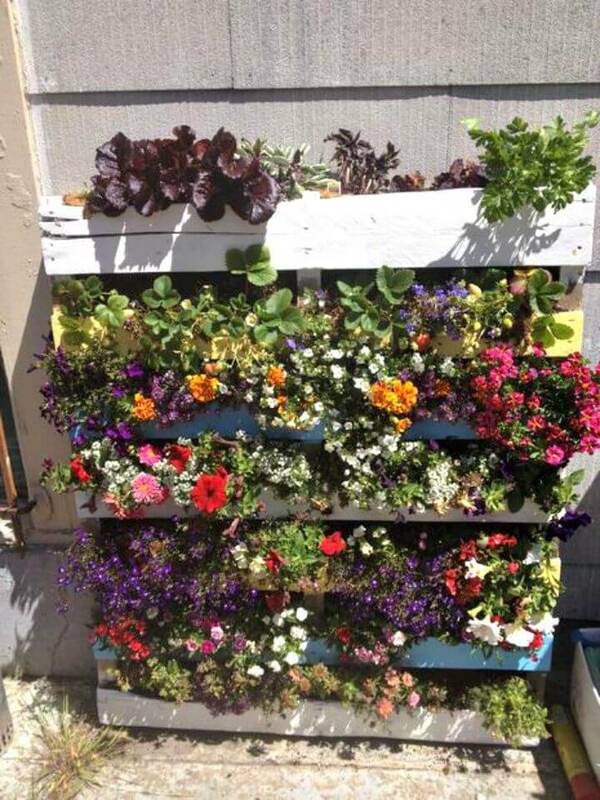 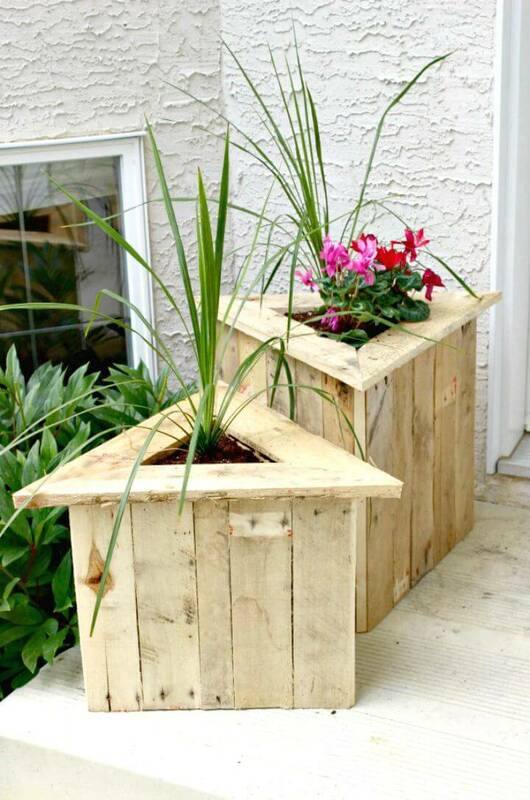 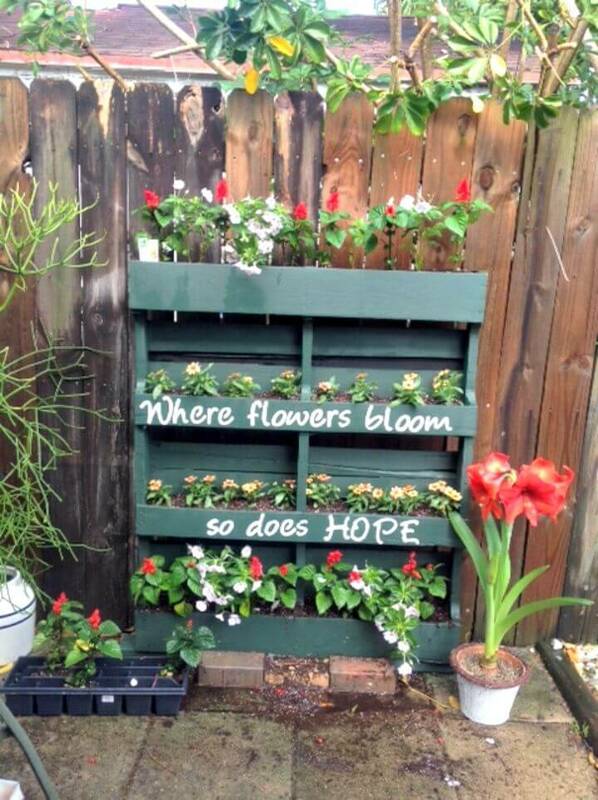 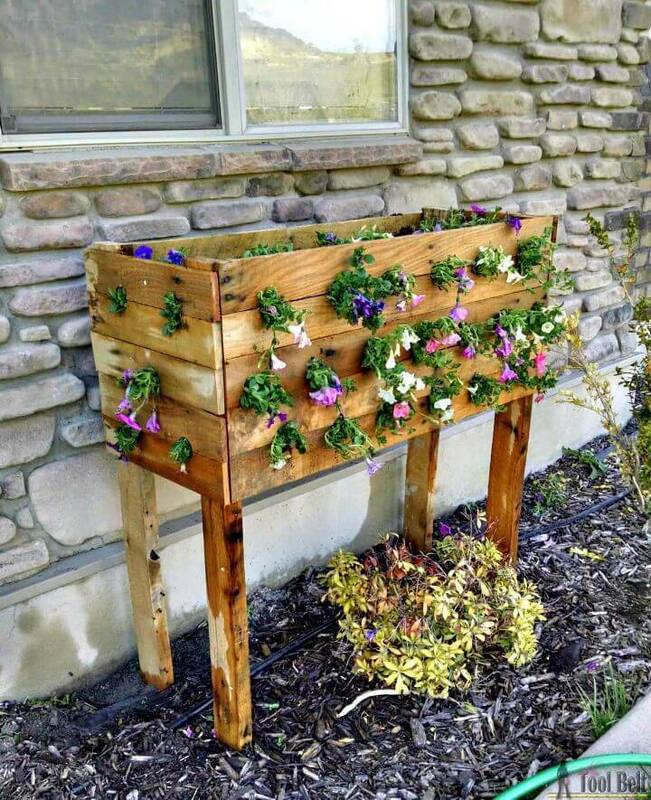 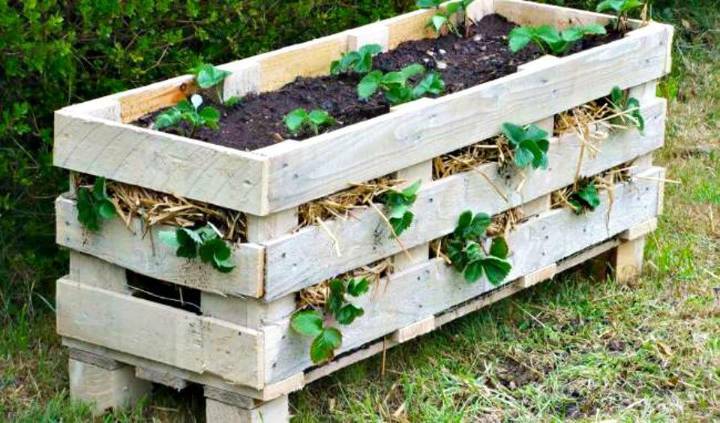 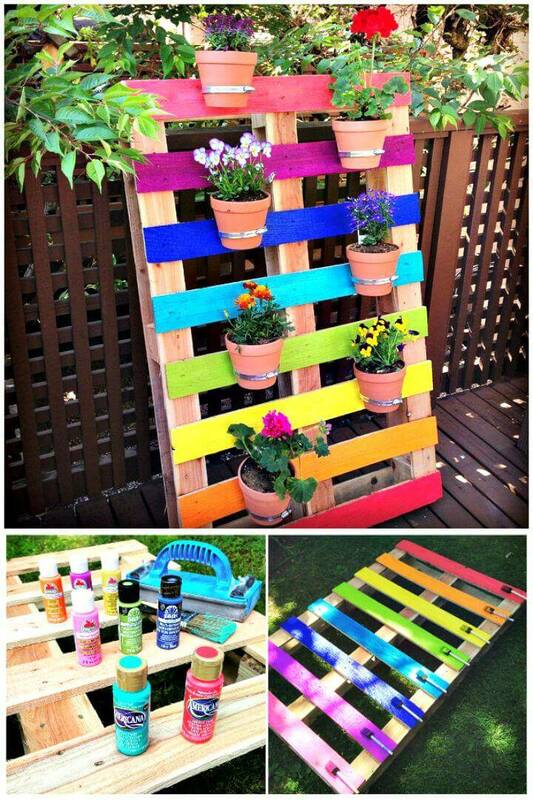 Next also boost your garden decors by building lovely accent planters and vertical garden with pallets and enhance interior wall decors also by making some interesting wooden pallet wall art pieces and signs, check out some amazingly beautiful and interesting samples given below! 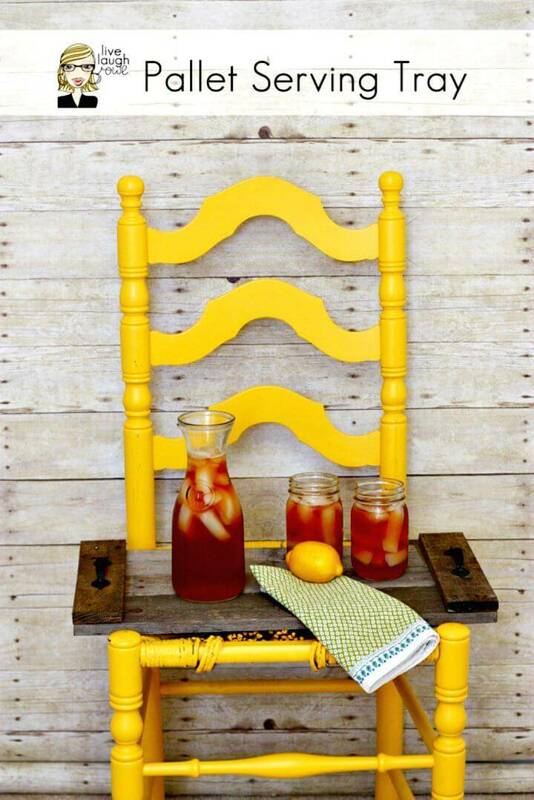 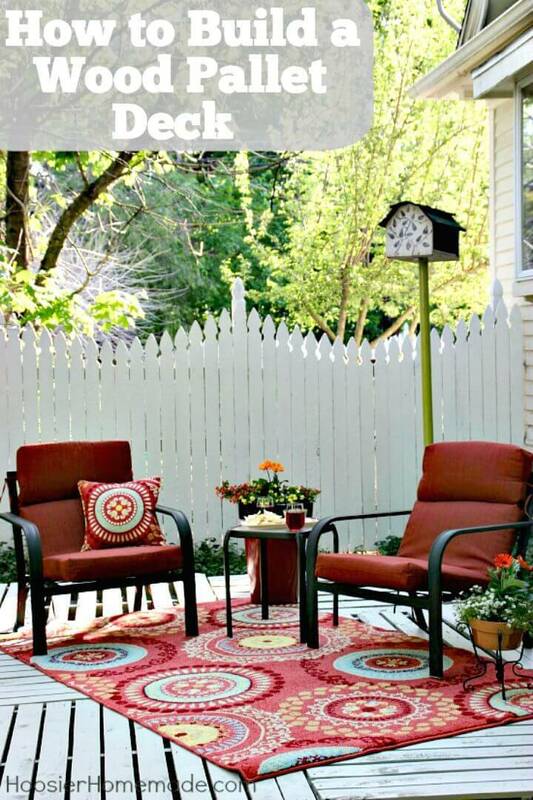 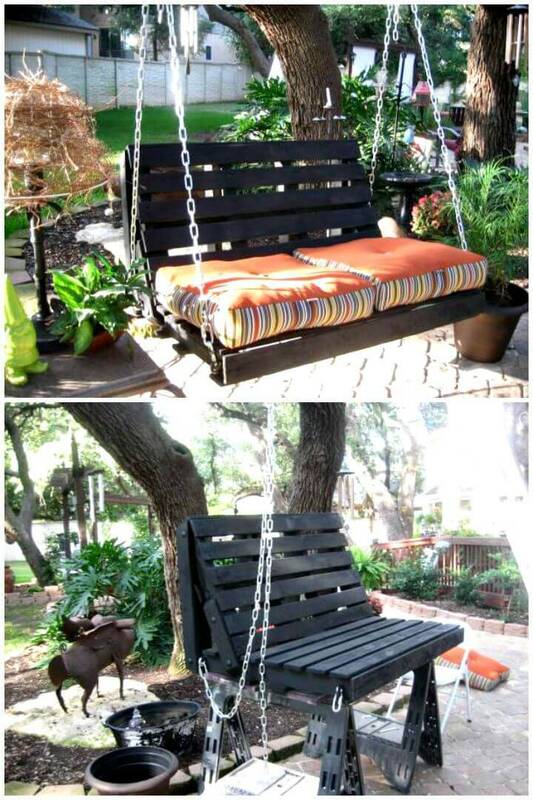 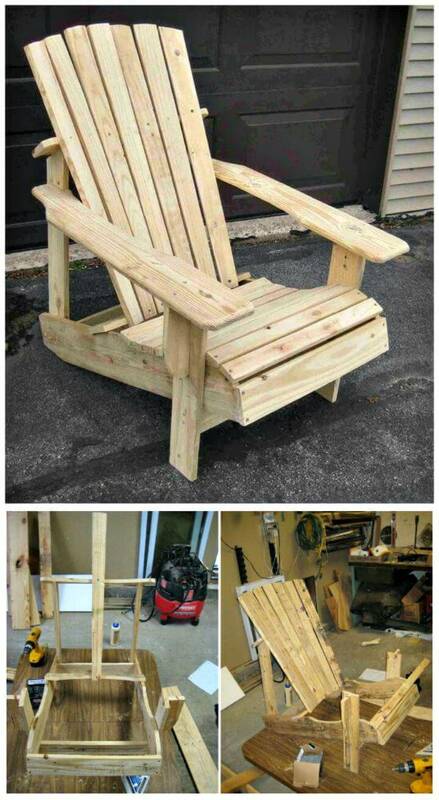 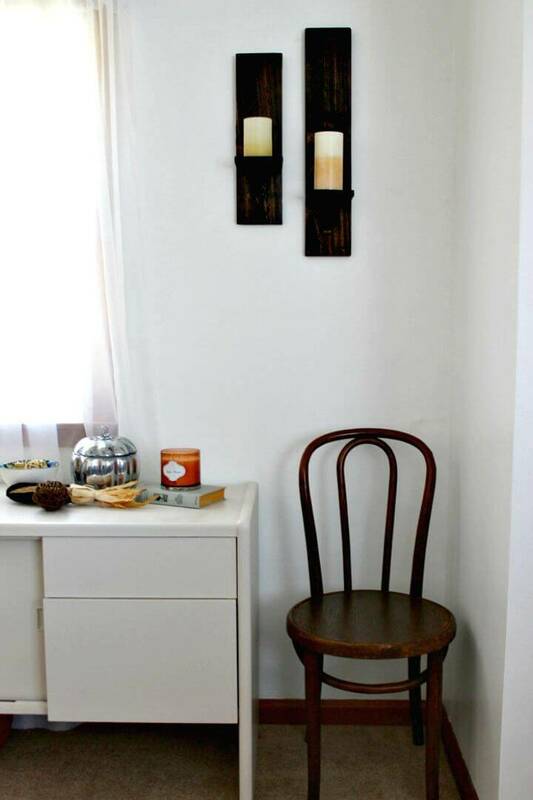 Build the interesting laced paracord hanging chairs for your garden and also install the outstanding-looking Adirondack furniture with pallets that will make you enjoy the outdoors more! 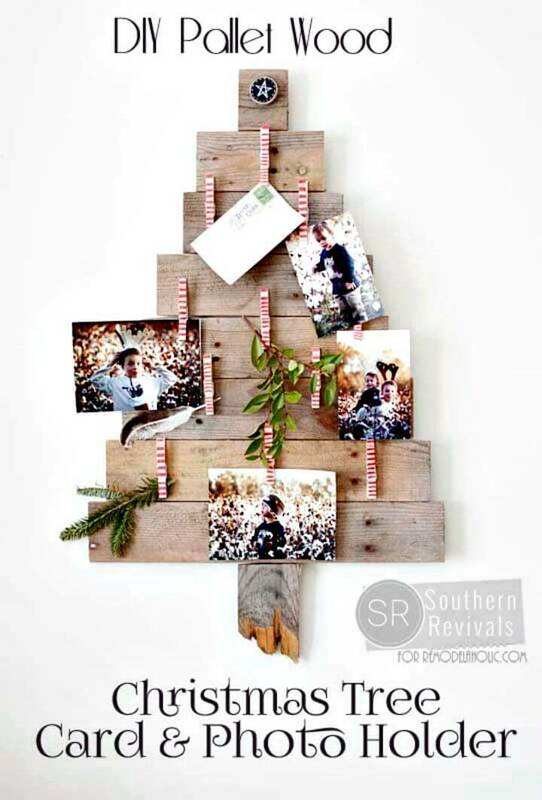 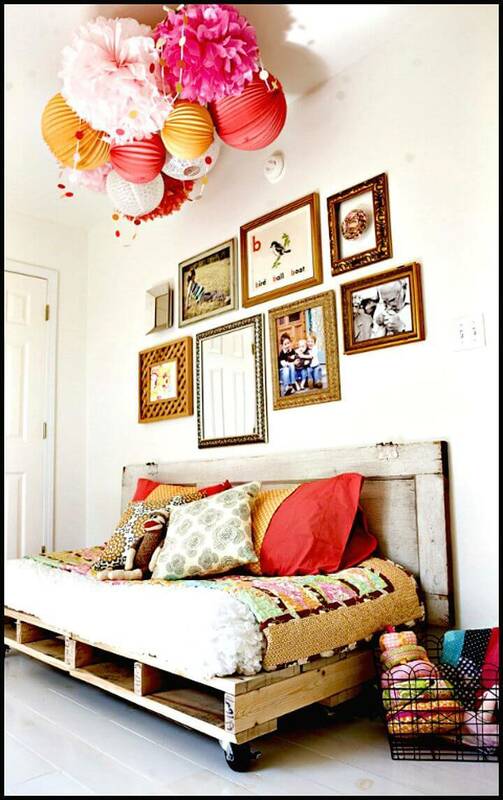 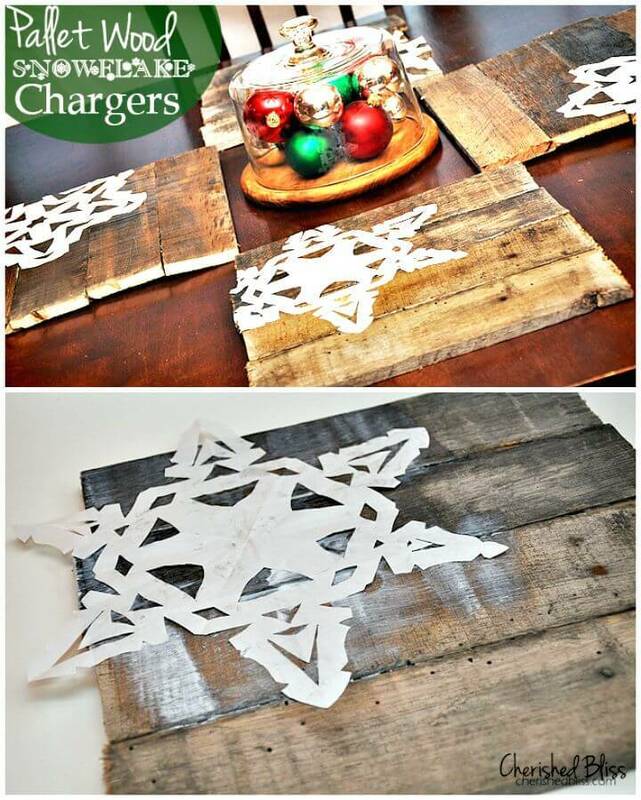 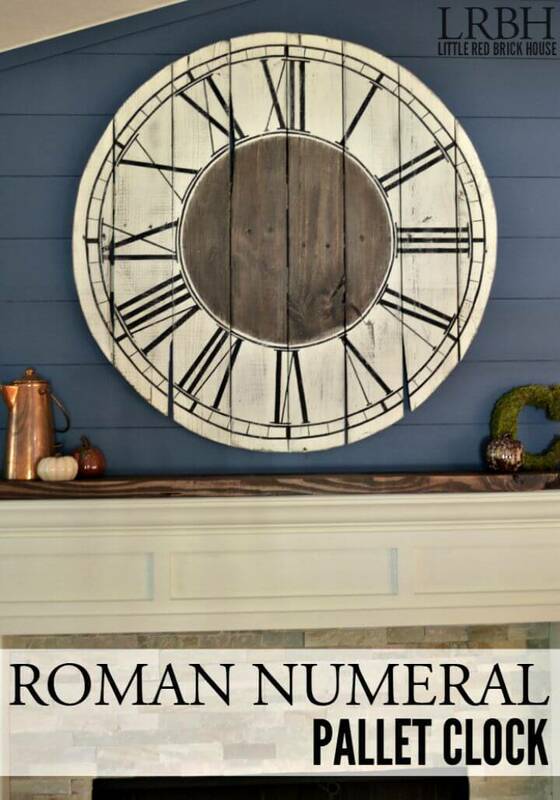 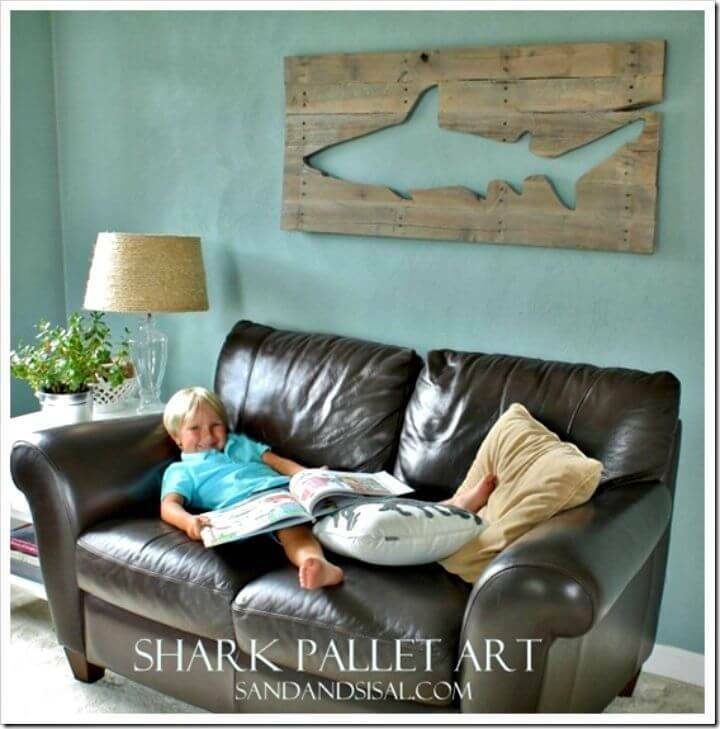 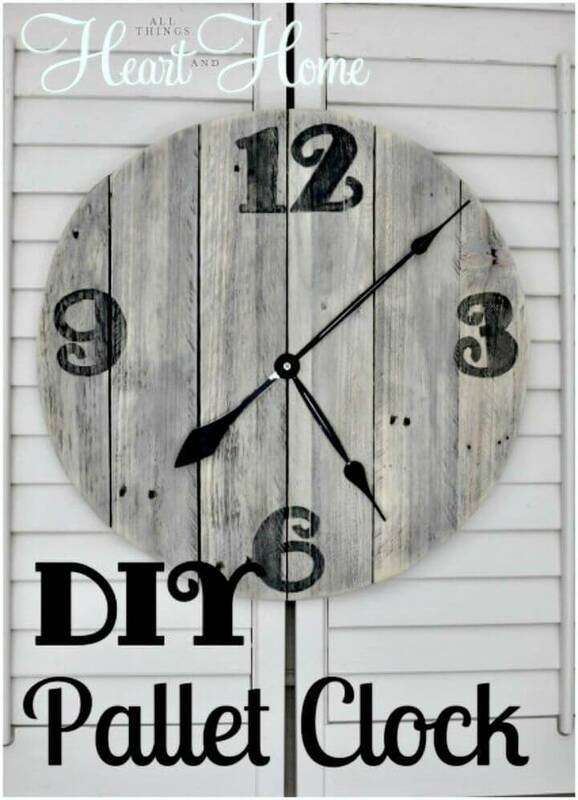 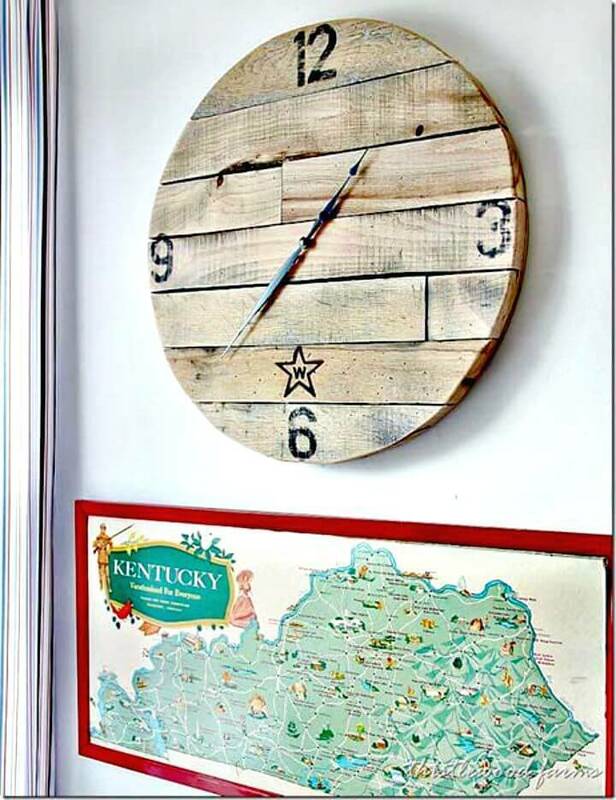 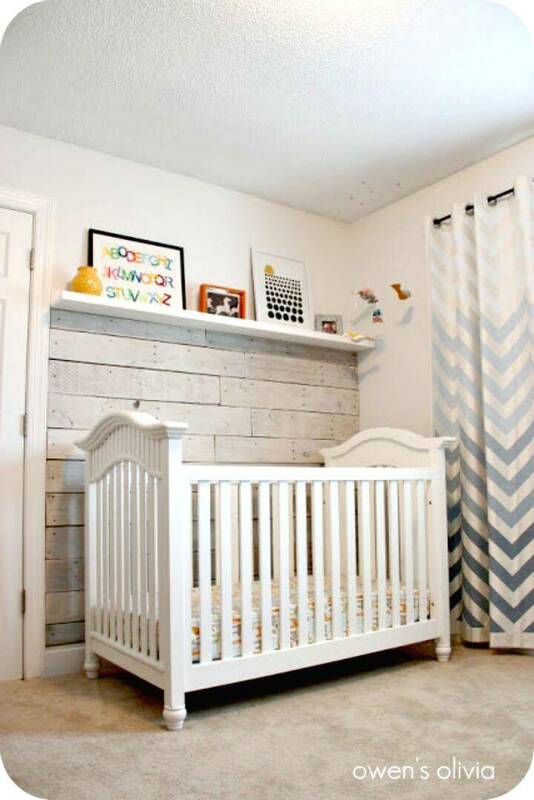 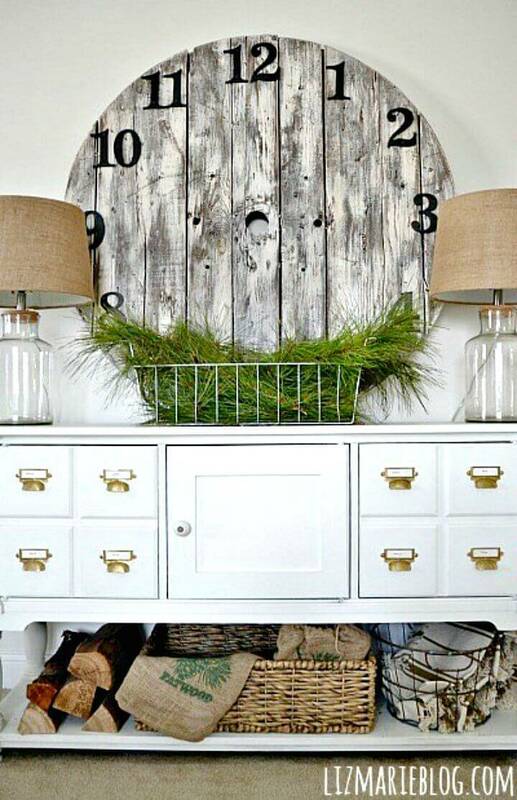 ( ) Moreover, also make gift-worthy wall clocks with rustic pallet slats and install the luxurious chill-out lounges and daybed by just stacking a few pallet skids! 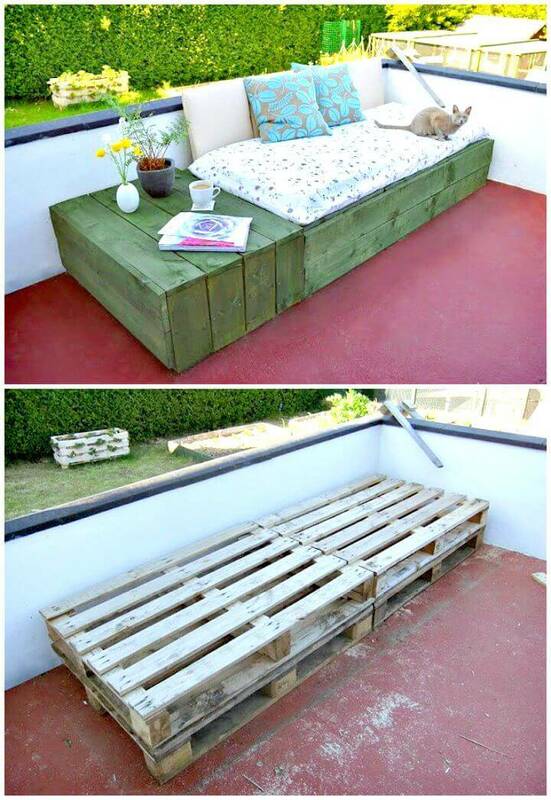 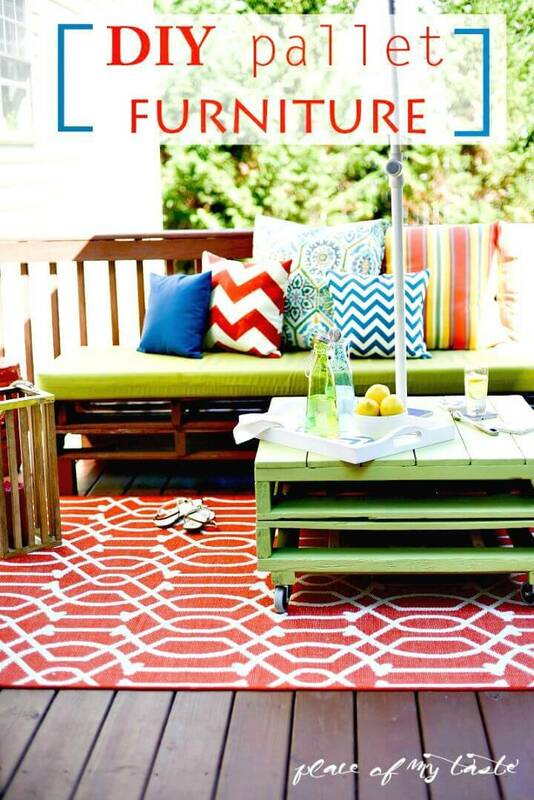 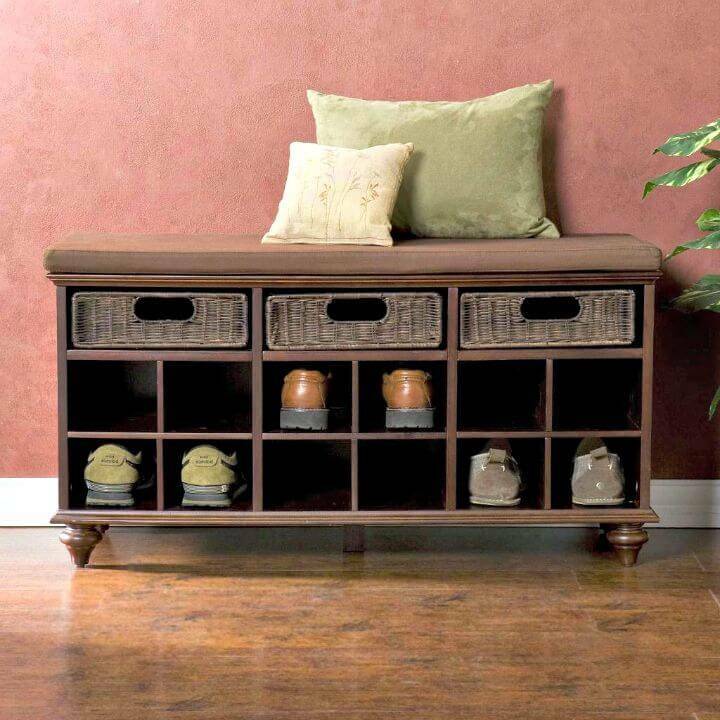 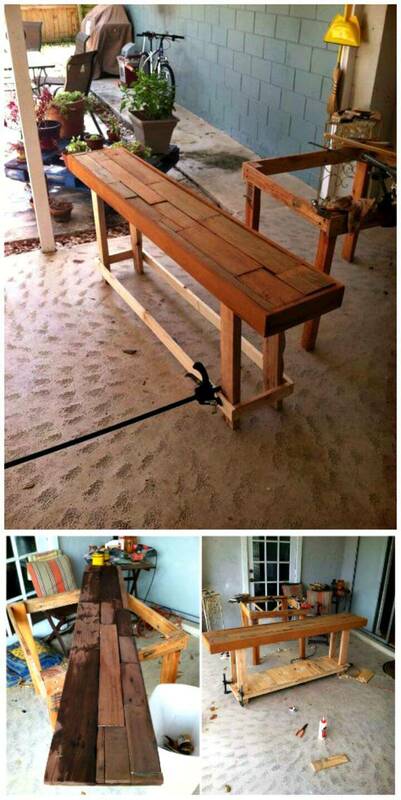 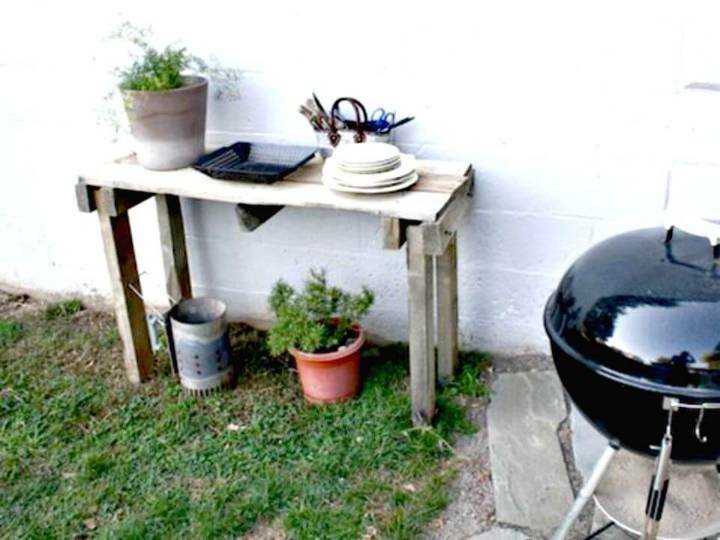 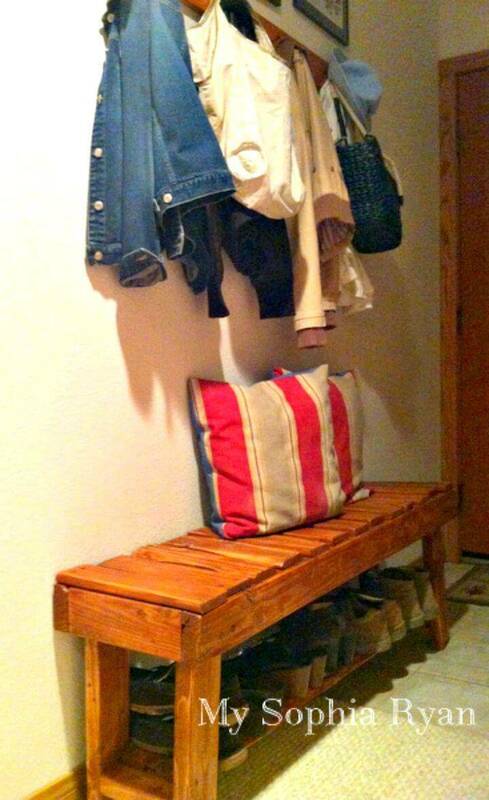 Install also precious wall hanging potting benches with pallets and stack pallets also for amazing patio and garden sofas! 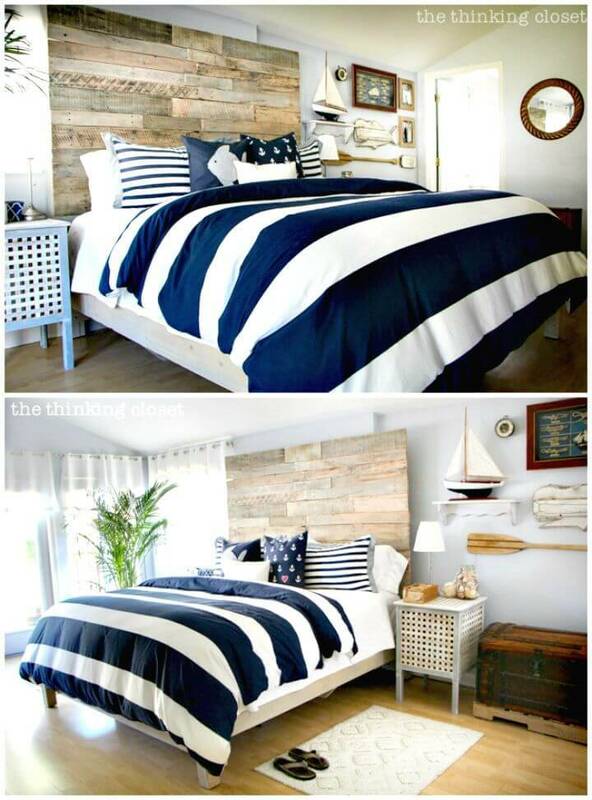 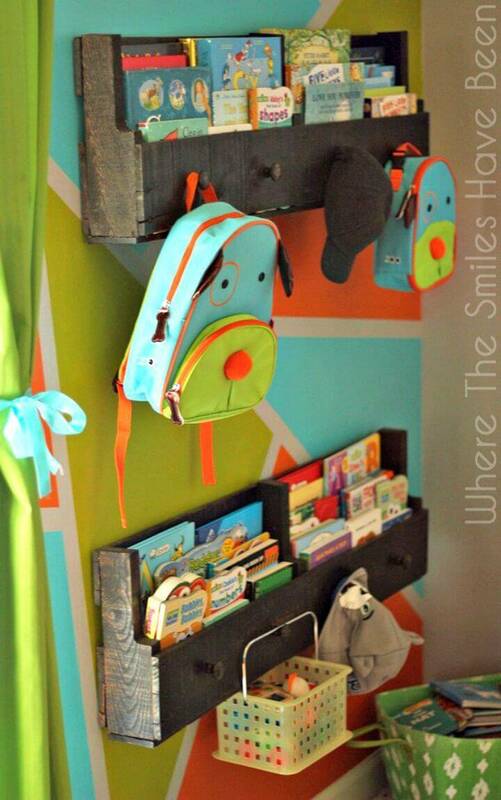 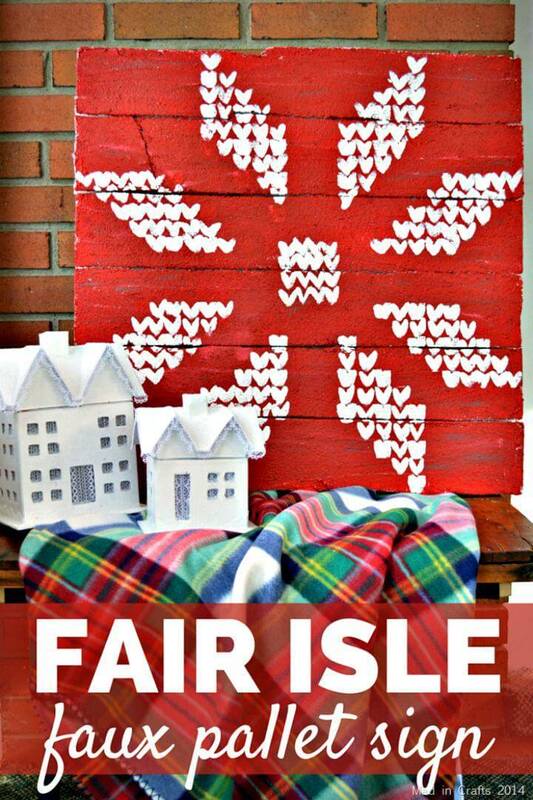 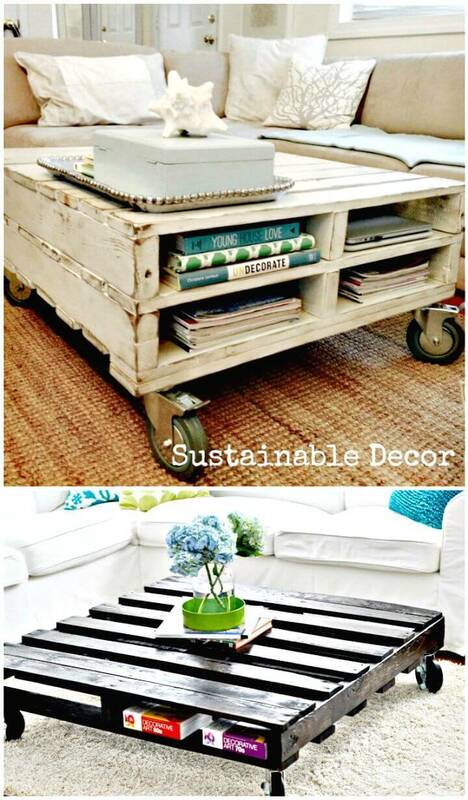 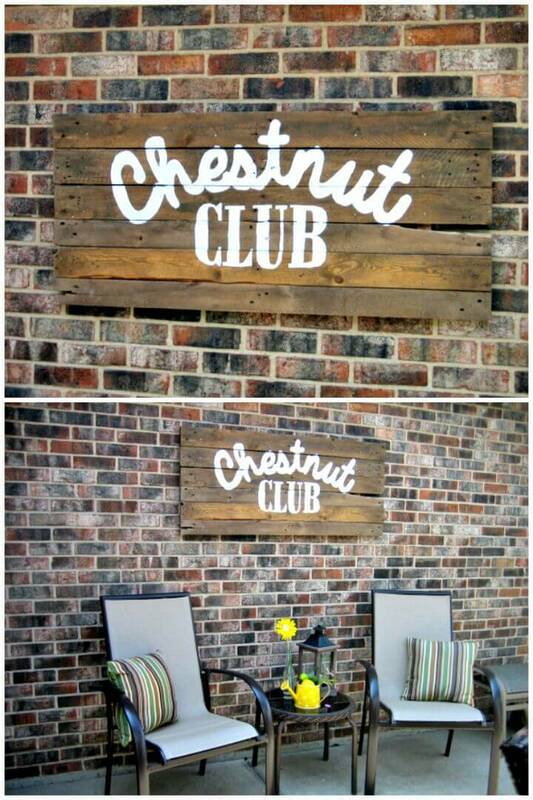 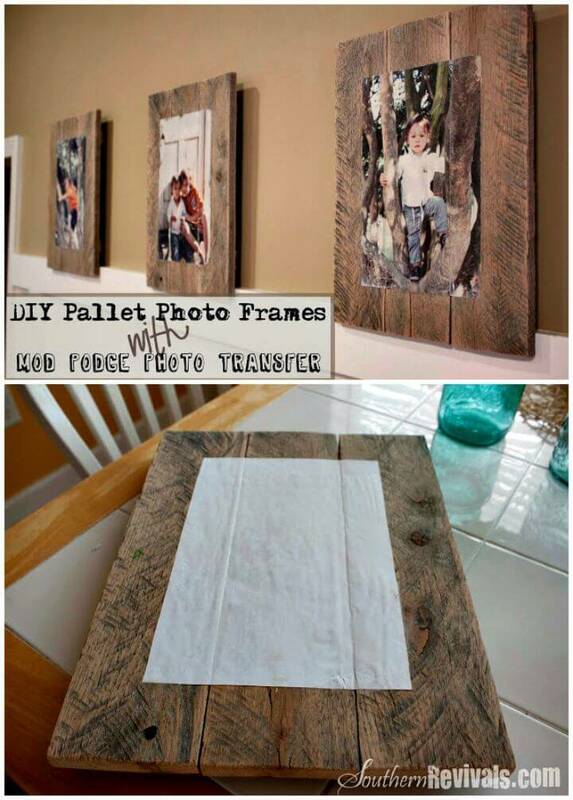 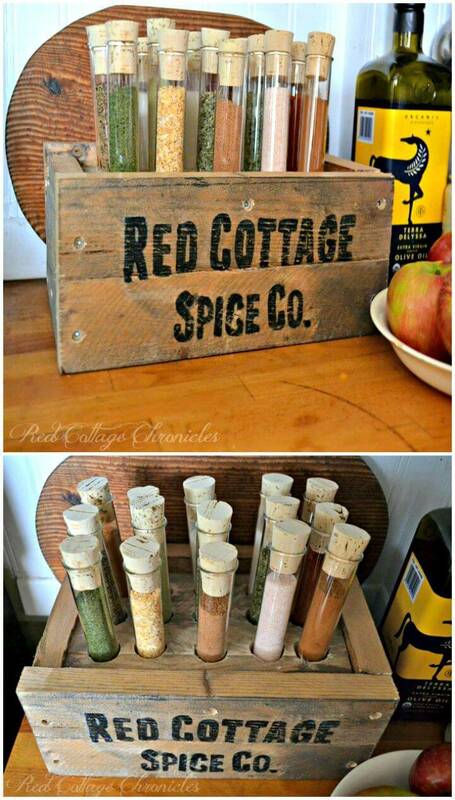 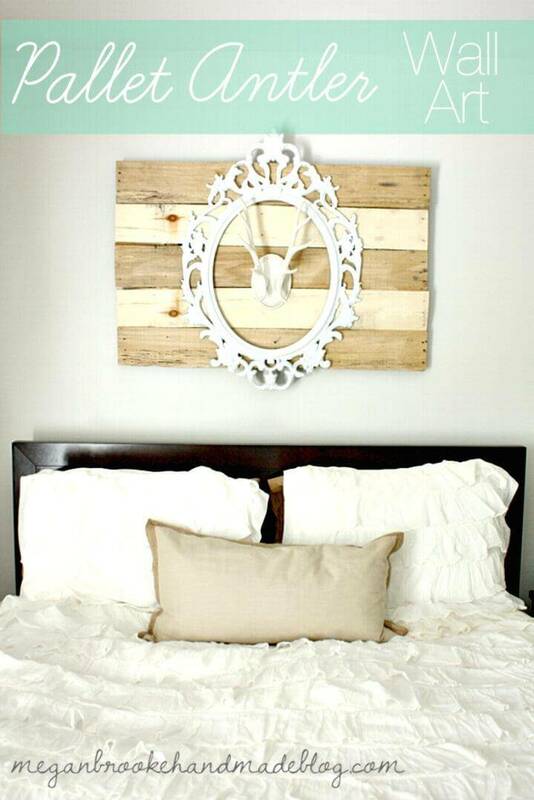 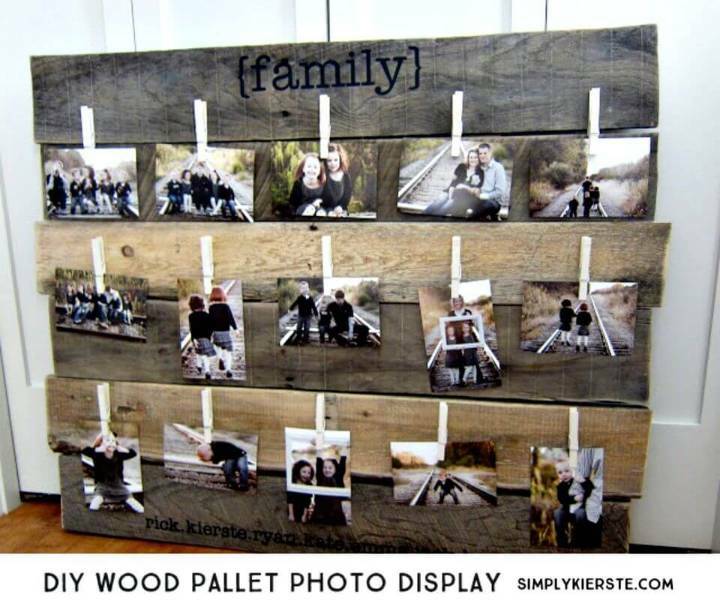 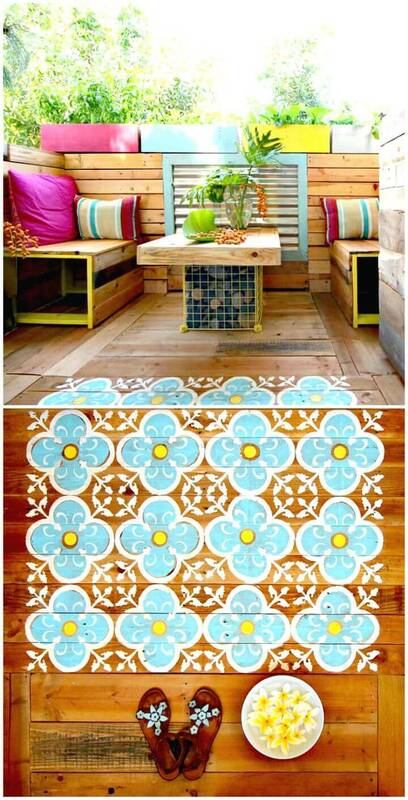 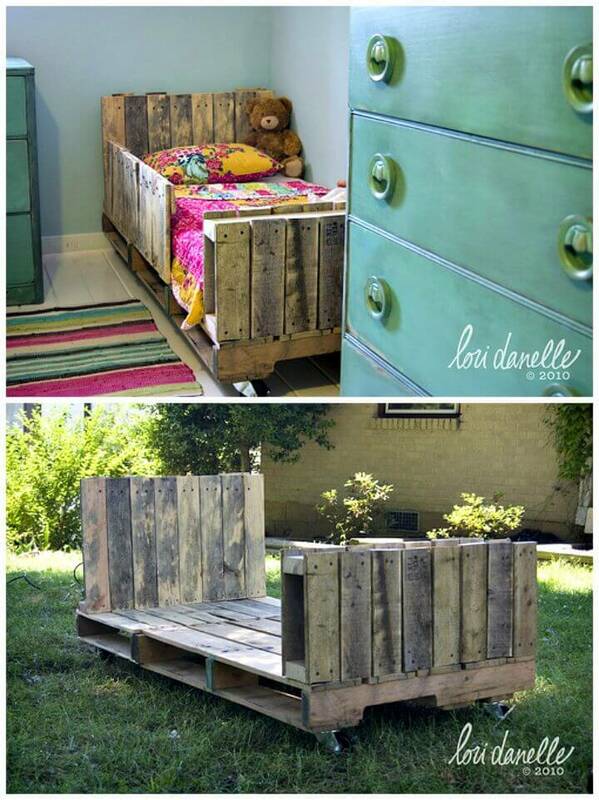 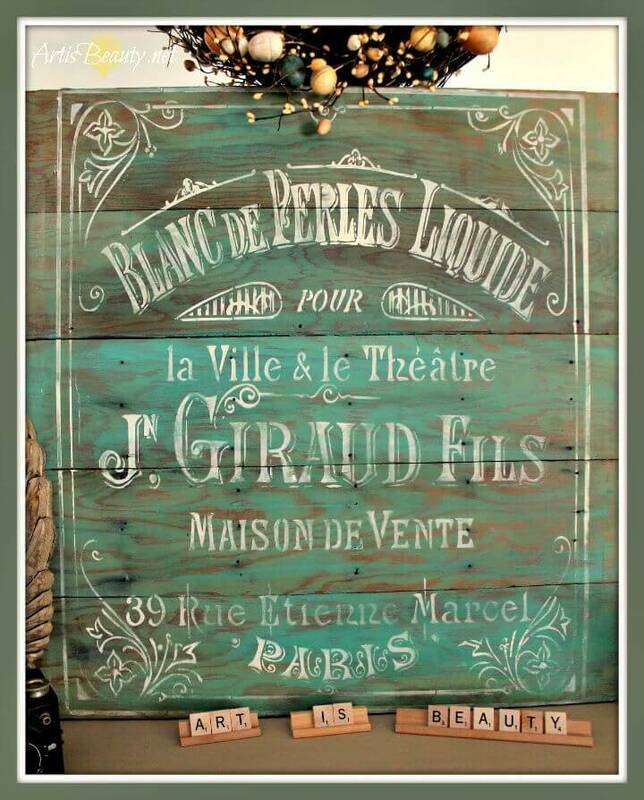 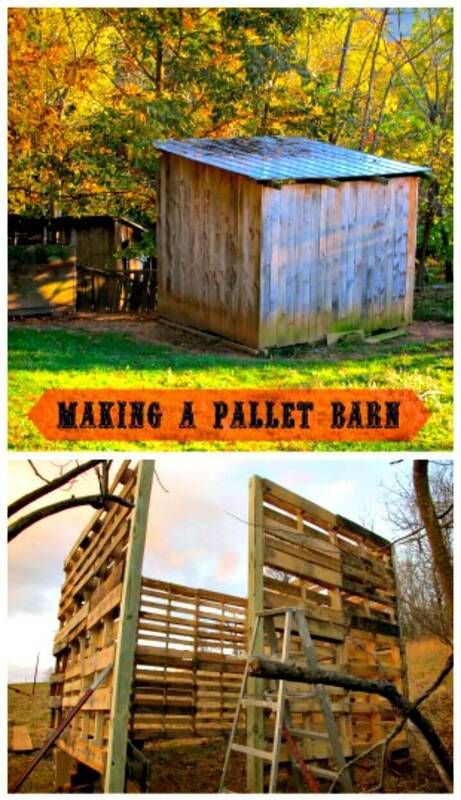 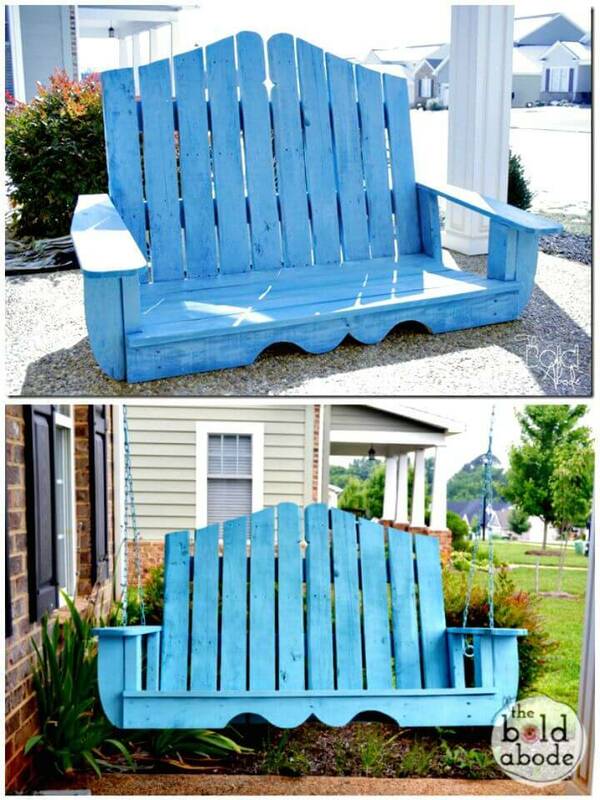 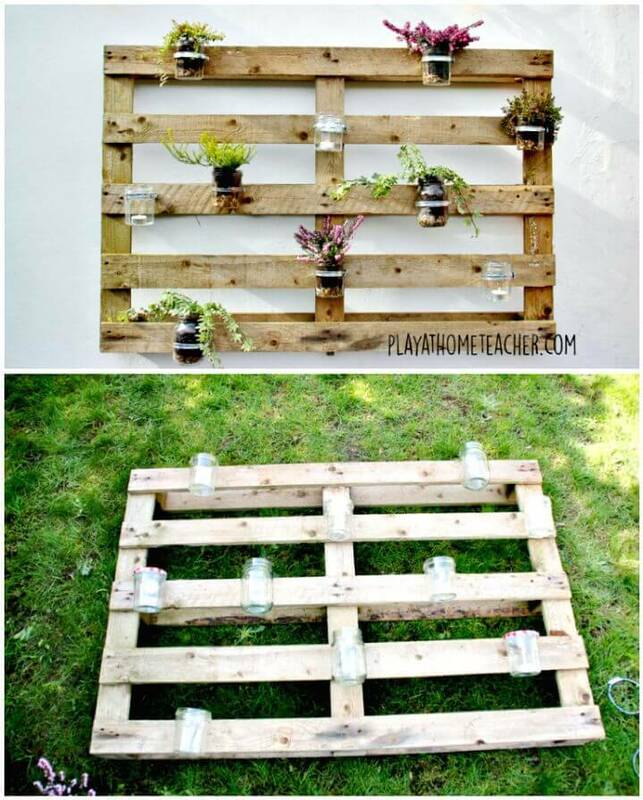 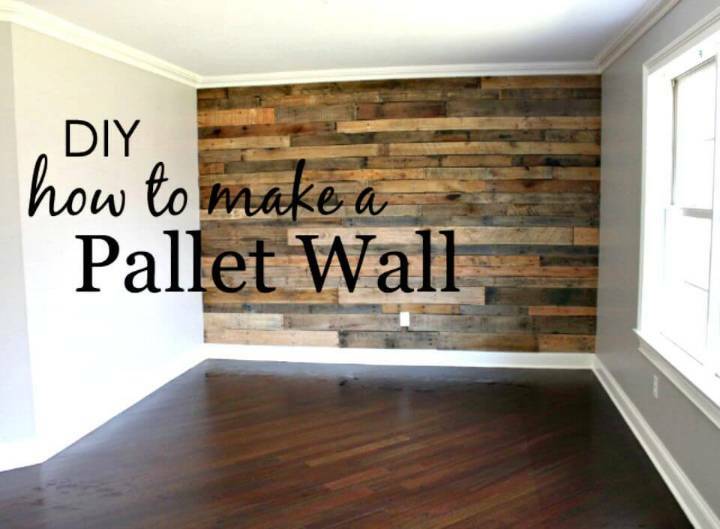 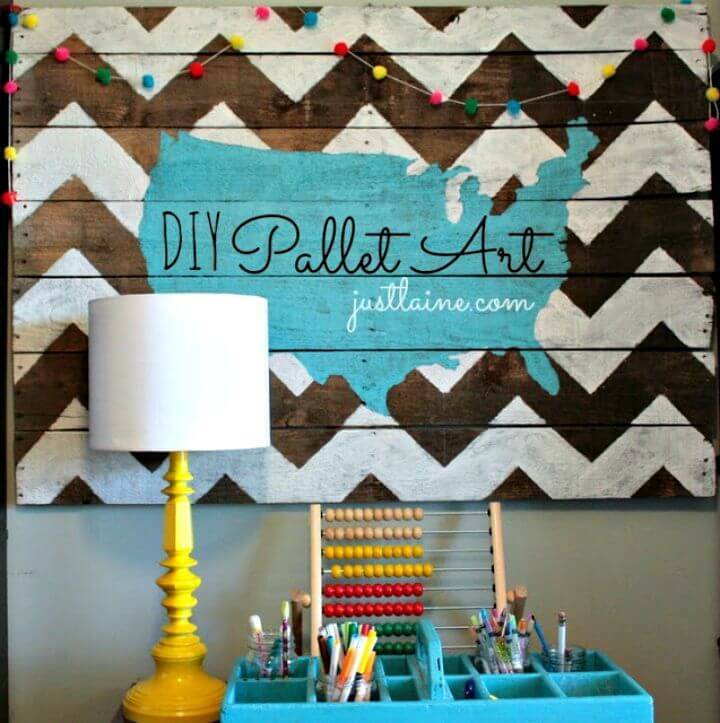 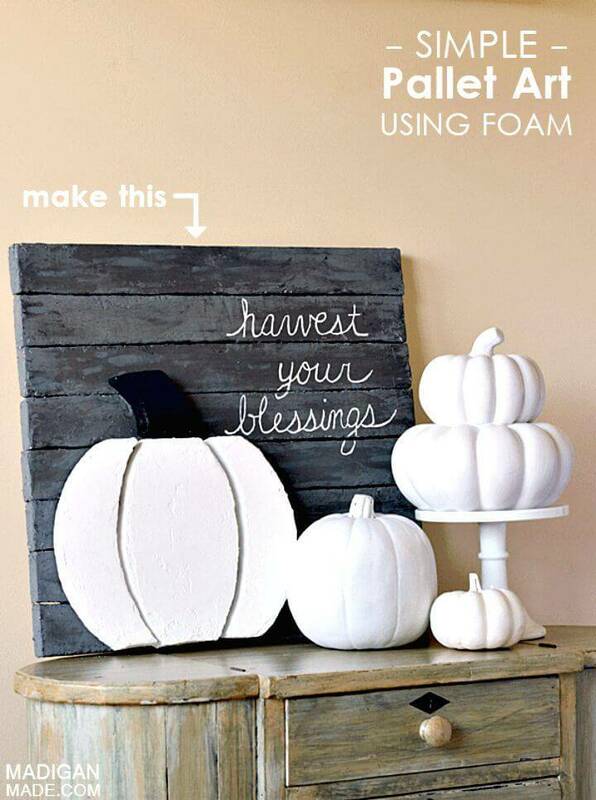 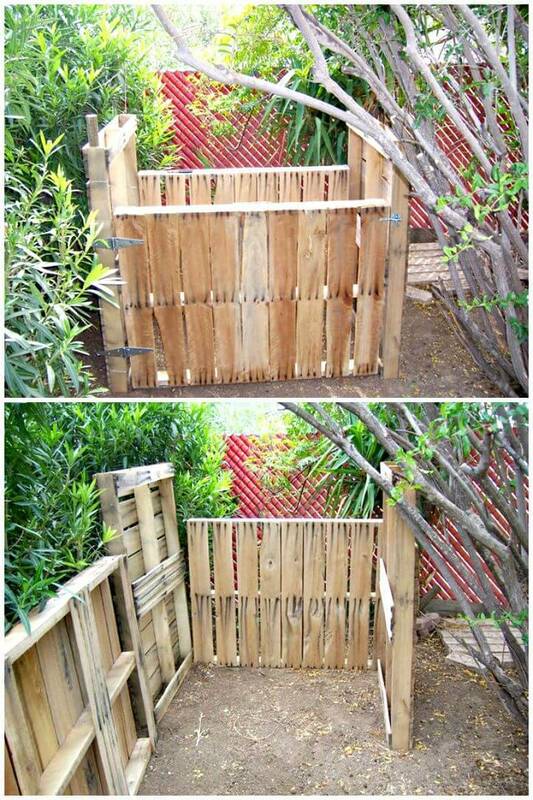 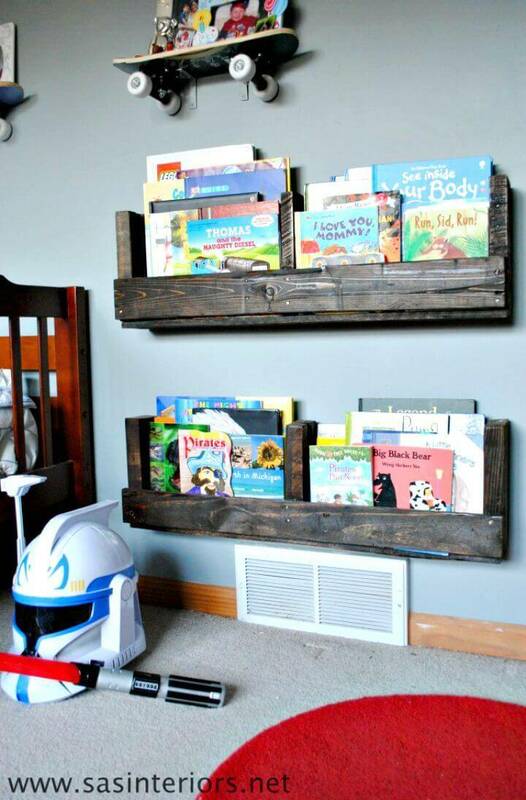 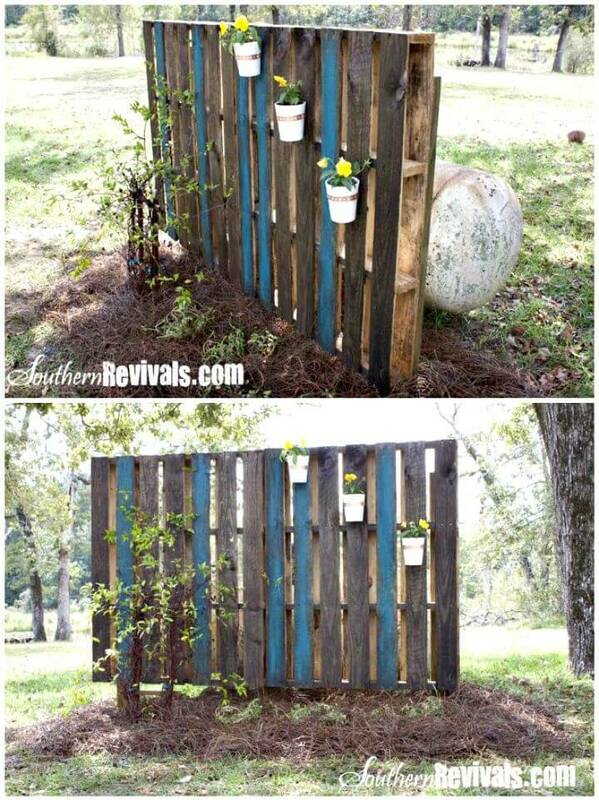 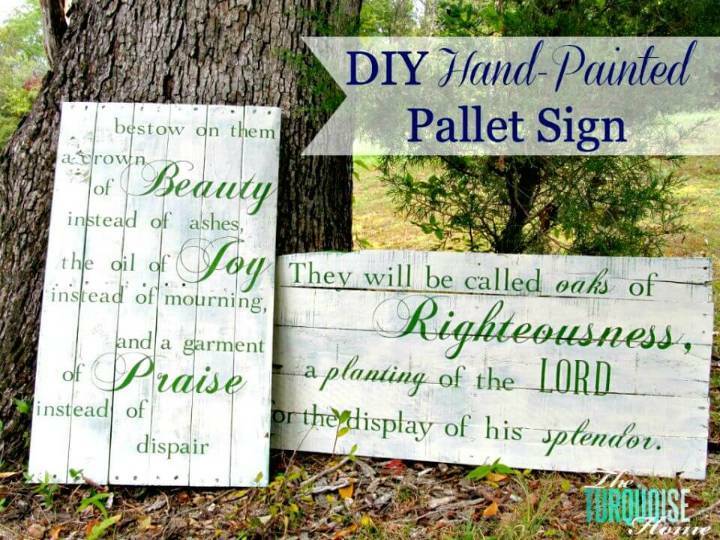 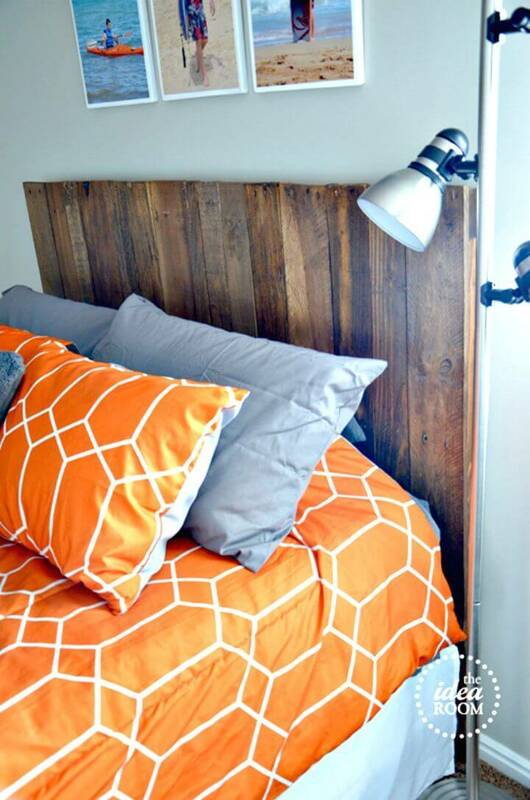 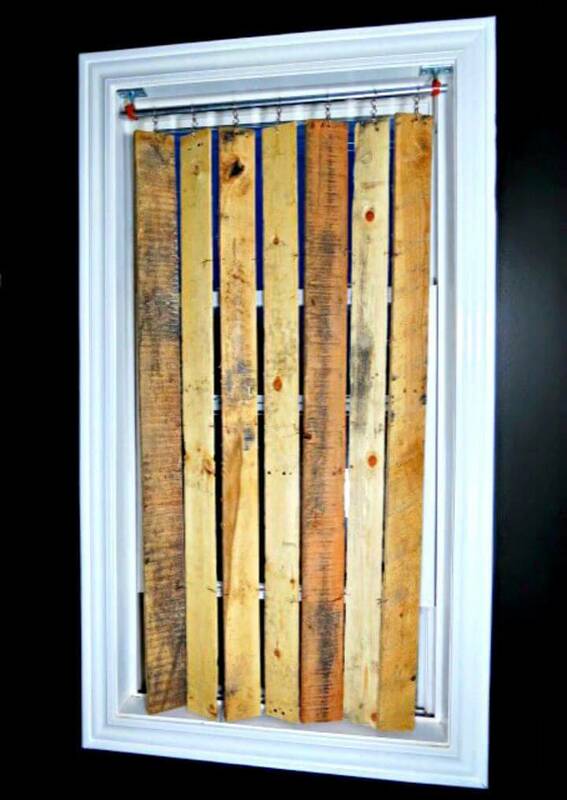 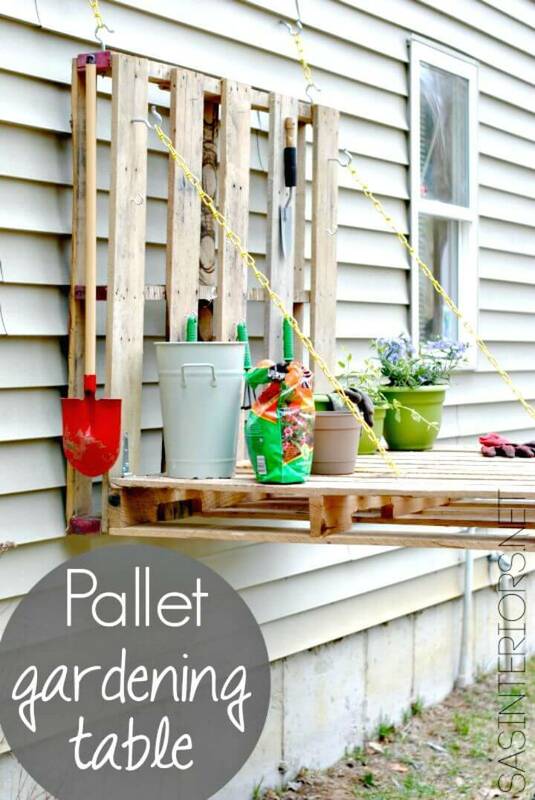 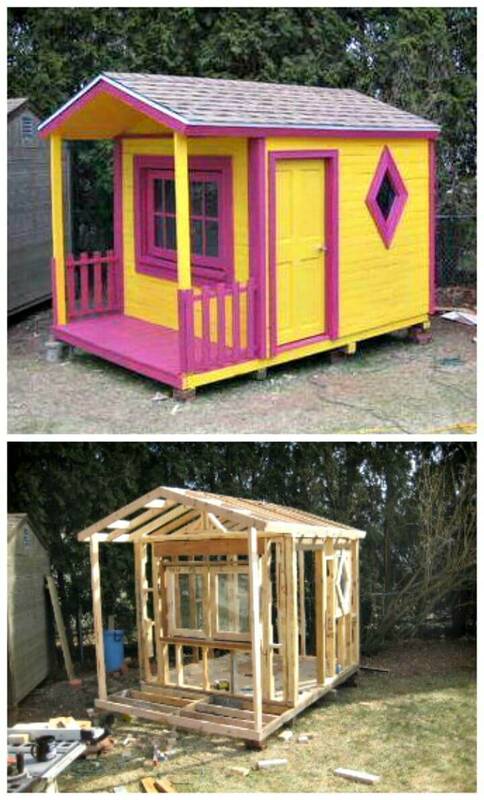 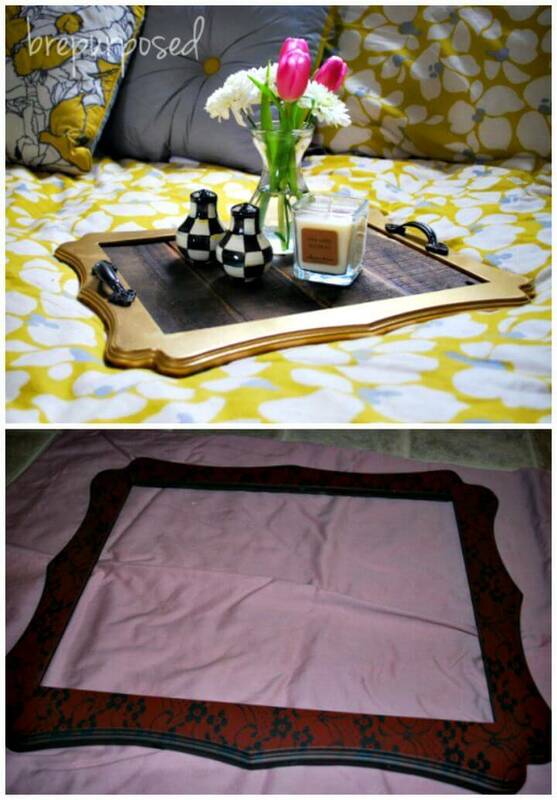 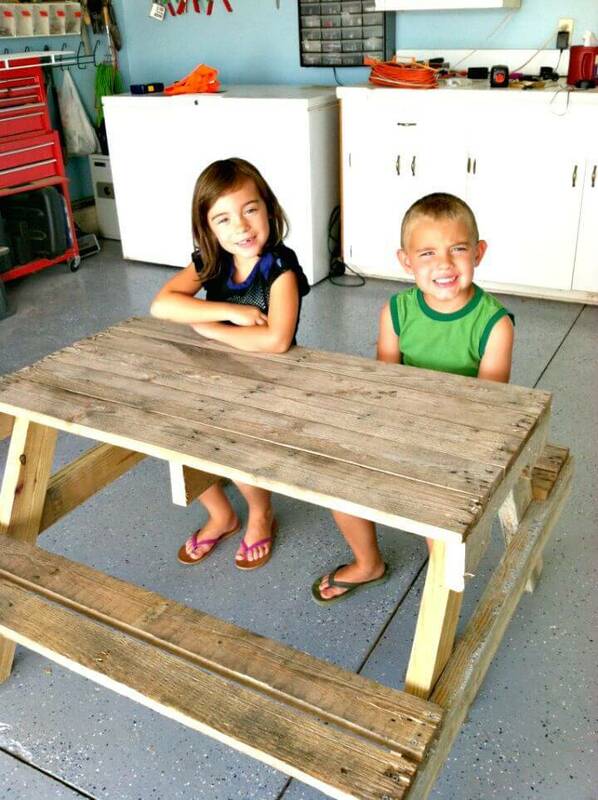 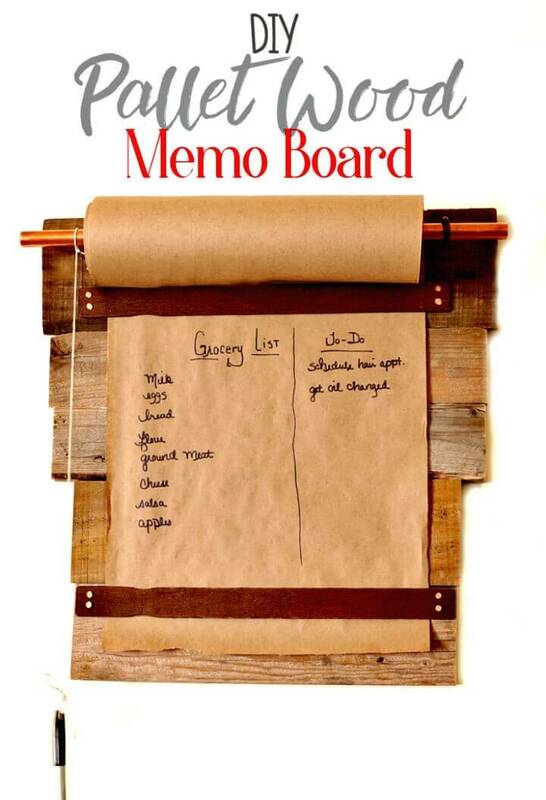 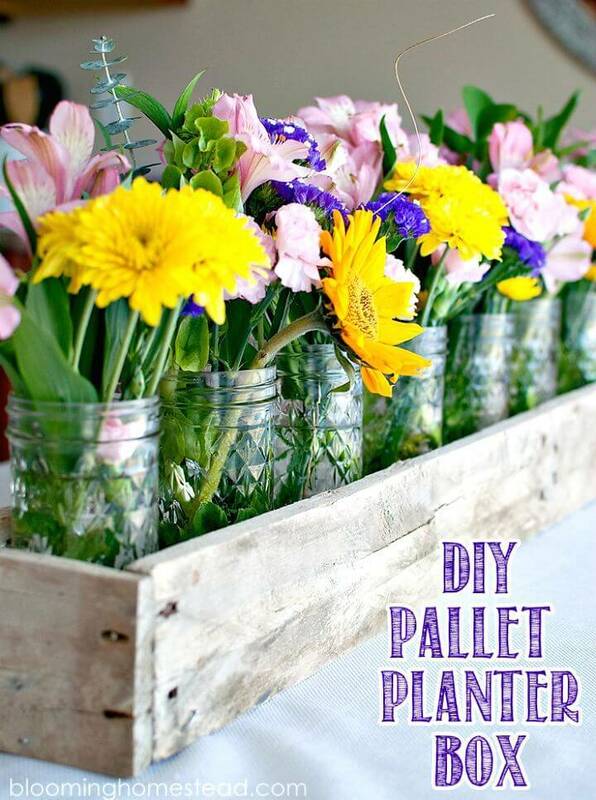 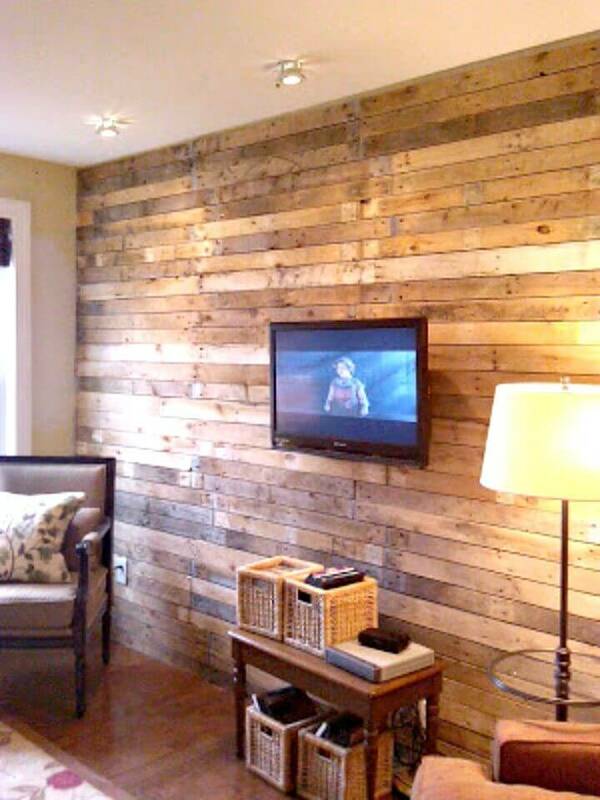 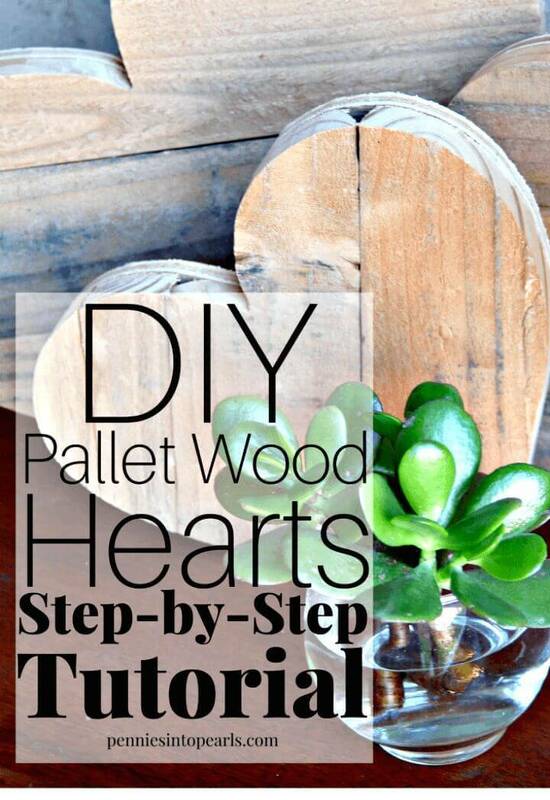 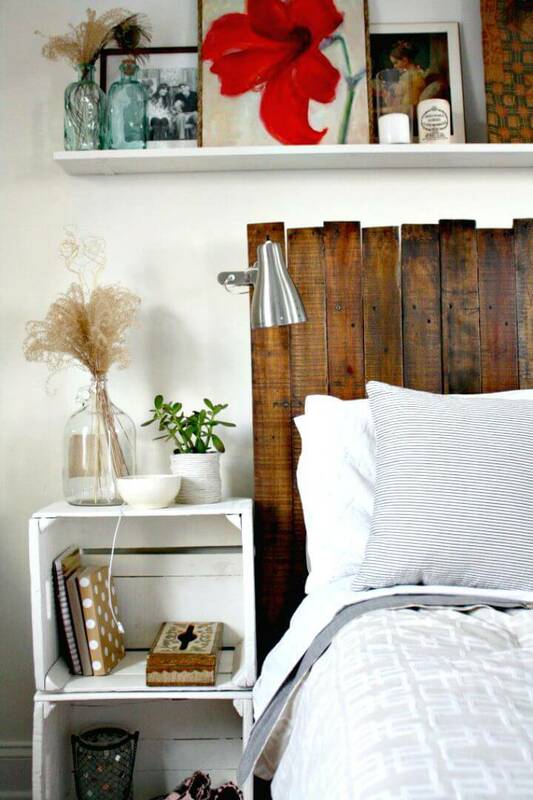 Check out much more interesting pallet projects give in the list that will truly be life changing! 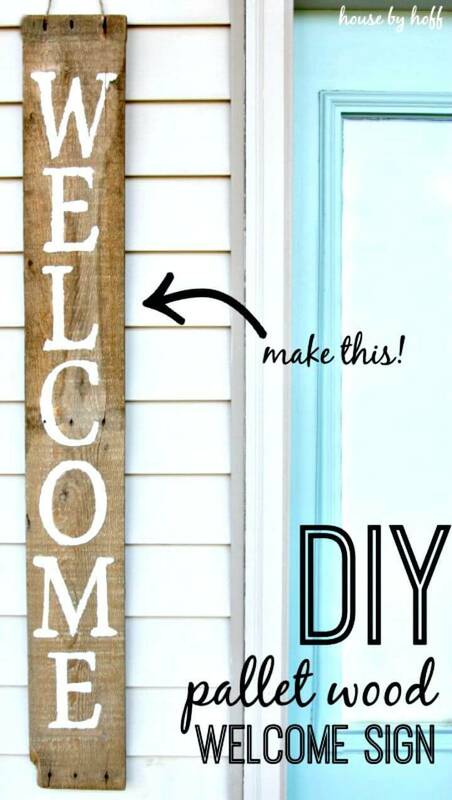 Hit the source links to grab full free project tutorials, instruction, and step-by-step guides!